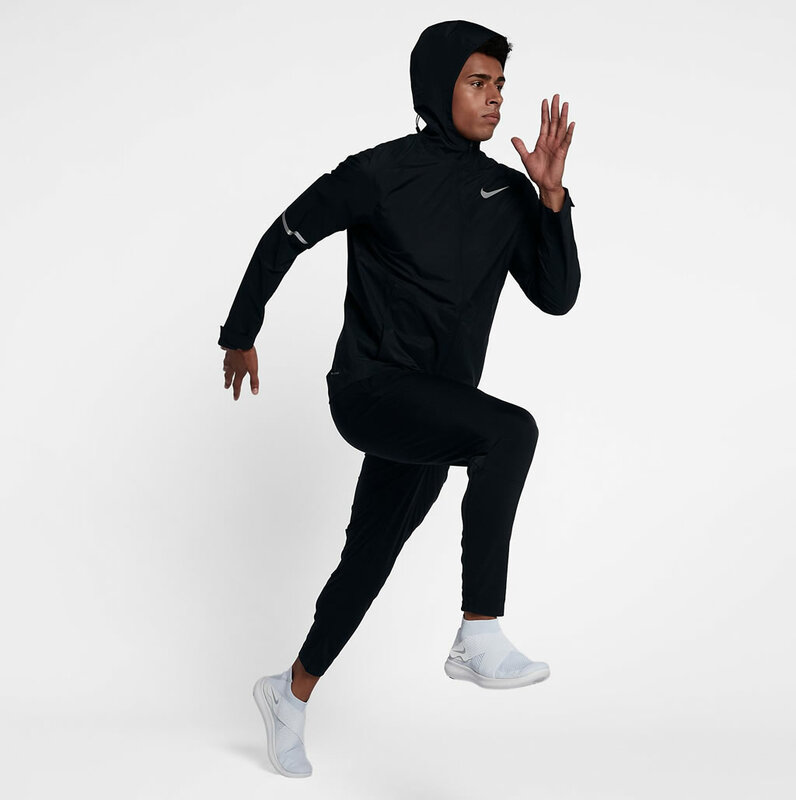 If you’re a running fanatic then you know that warm weather is great for outdoor exercise, but cold weather with its unique set of challenges such as freezing temperatures, snow and ice, shouldn’t keep you indoors. 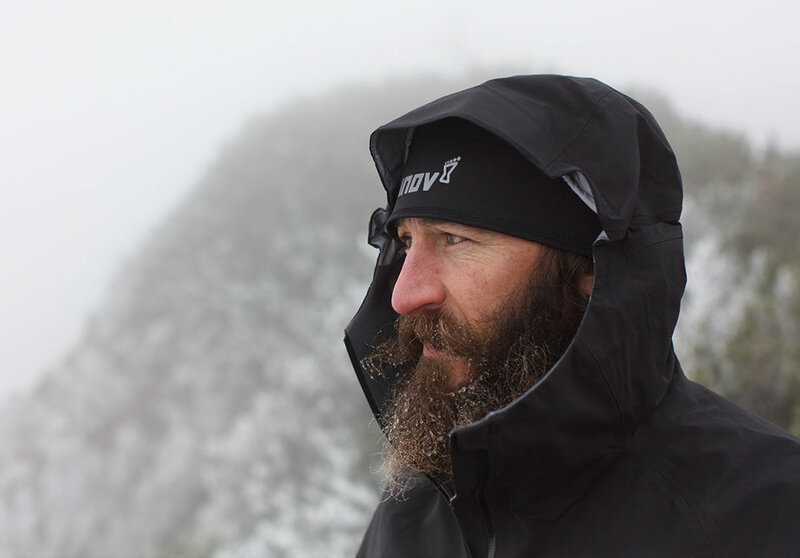 All you need is a positive attitude and a proper equipment. 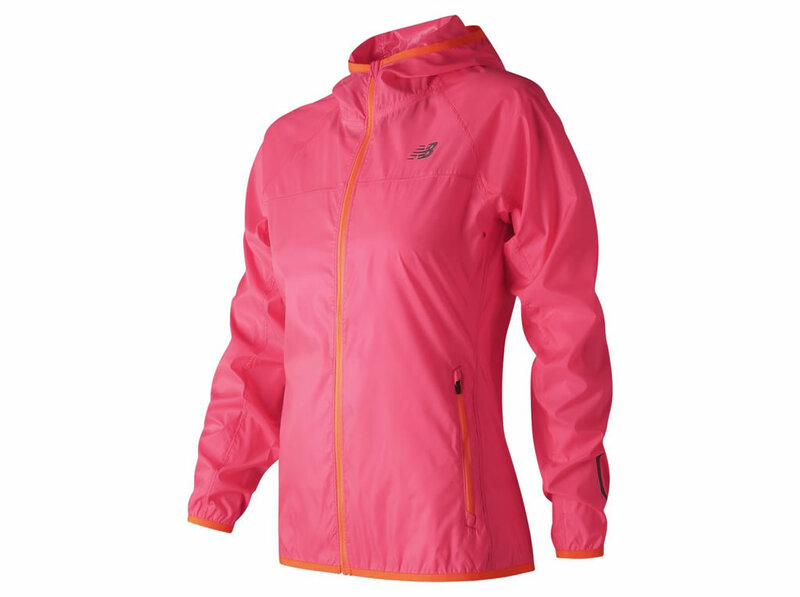 While we can’t help you with the first requirement, we can surely give you a helping hand in choosing the equipment that is right for you. 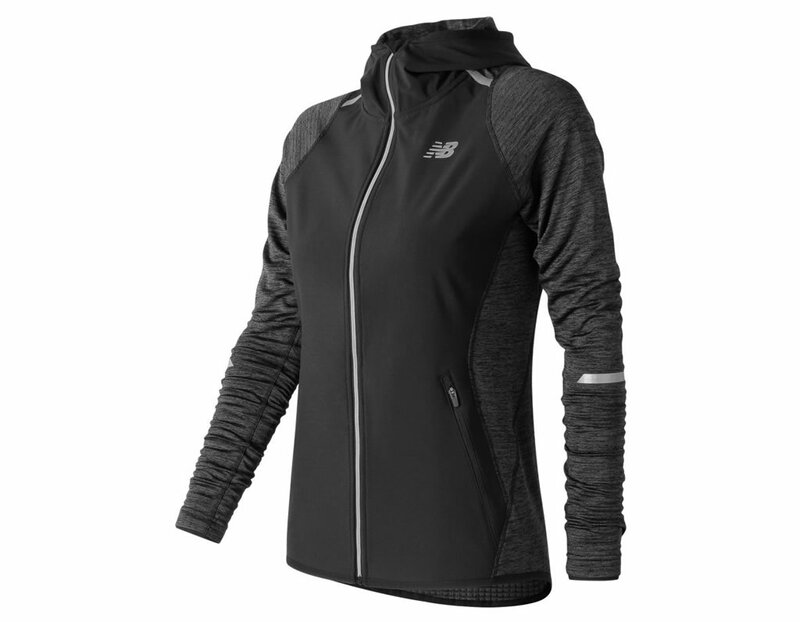 Today we’re happy to present a top containing the best cold-weather running jacket of 2018, as they are a vital component of cold-weather running gear that will protect your body under any type of weather running condition. 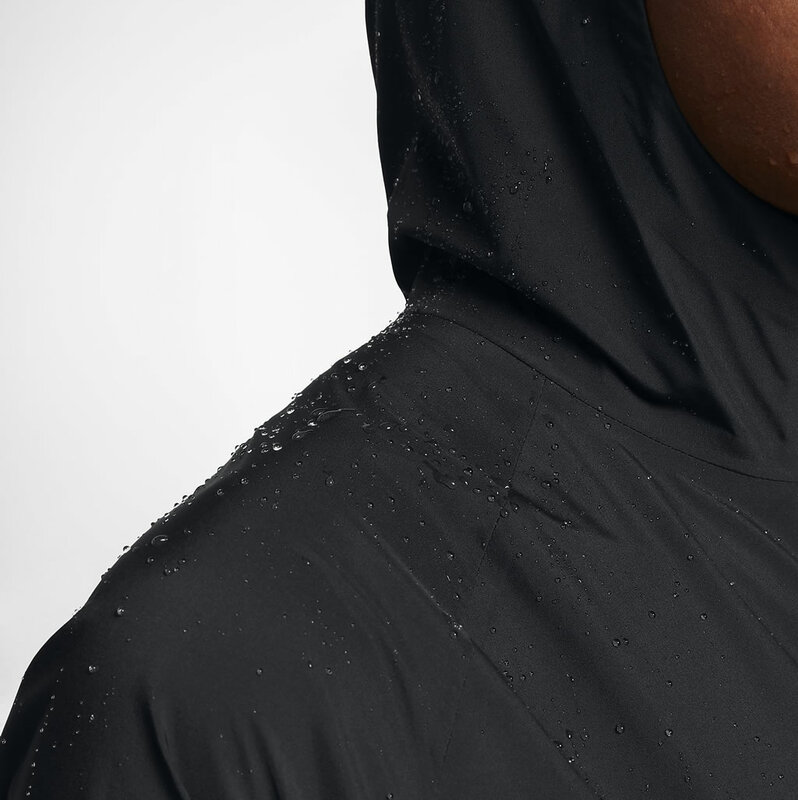 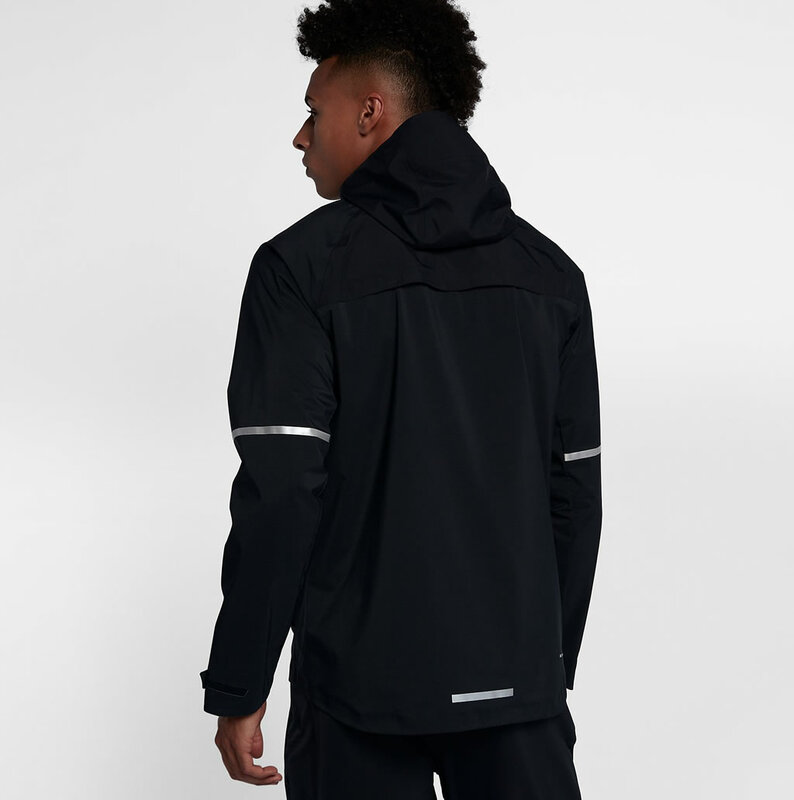 The Storm Shelter Jacket by Asics boasts a stylish design that offers exceptional breathability as well as complete waterproofness, but this is hardly surprising considering the fact that we’re talking about one of the world’s most famous sports brands. 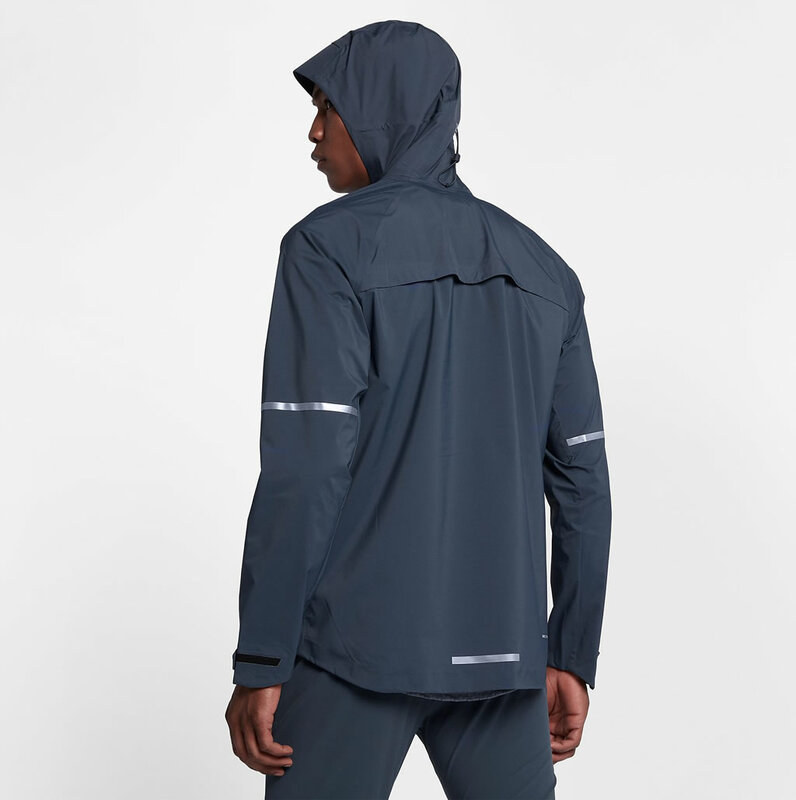 Made of laminated 10K WP/ 10K BR fabric, this Asics waterproof running jacket features reflective trims that ensure 360-degree visibility in low light conditions. 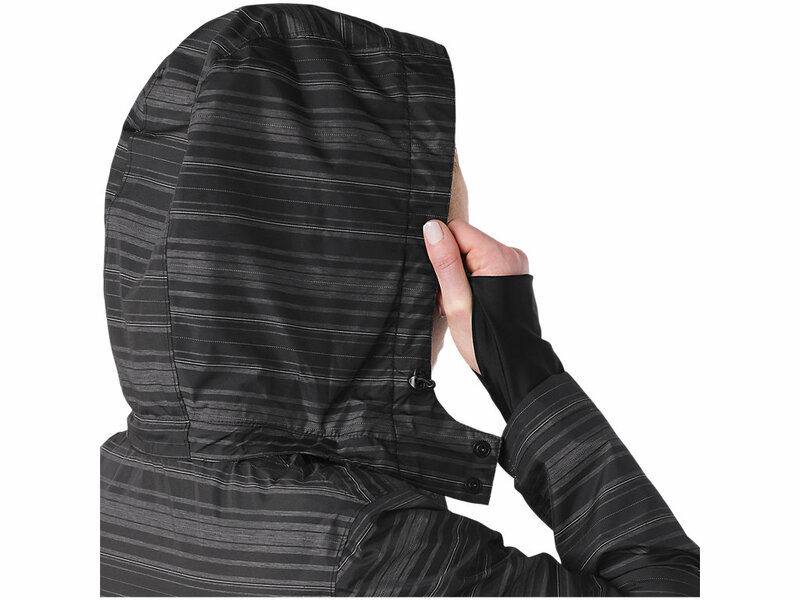 The adjustable cuffs with gaitors and thumbholes keep out the cold, while the zippered hand pockets improve practicality. 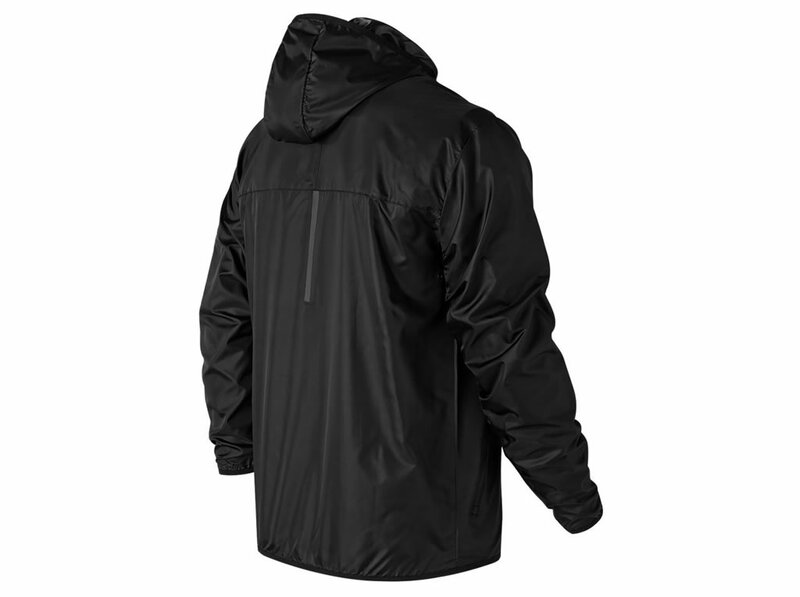 Last but not least, its design also incorporares a removable hood, a water resistant center front zipper, and a zippered hand pocket with media port. 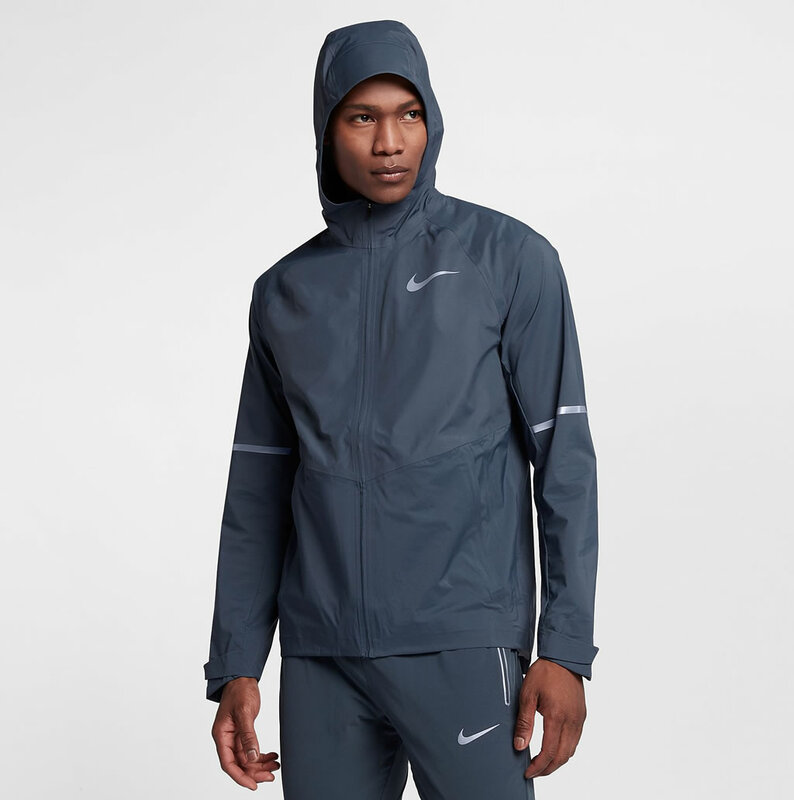 The Nike Zonal AeroShield jacket won’t let you down on those rainy or snowy days, and that’s because it features sealed seams and waterproof zips, as well as an adjustable hood, which offers an adequate protection from the elements. 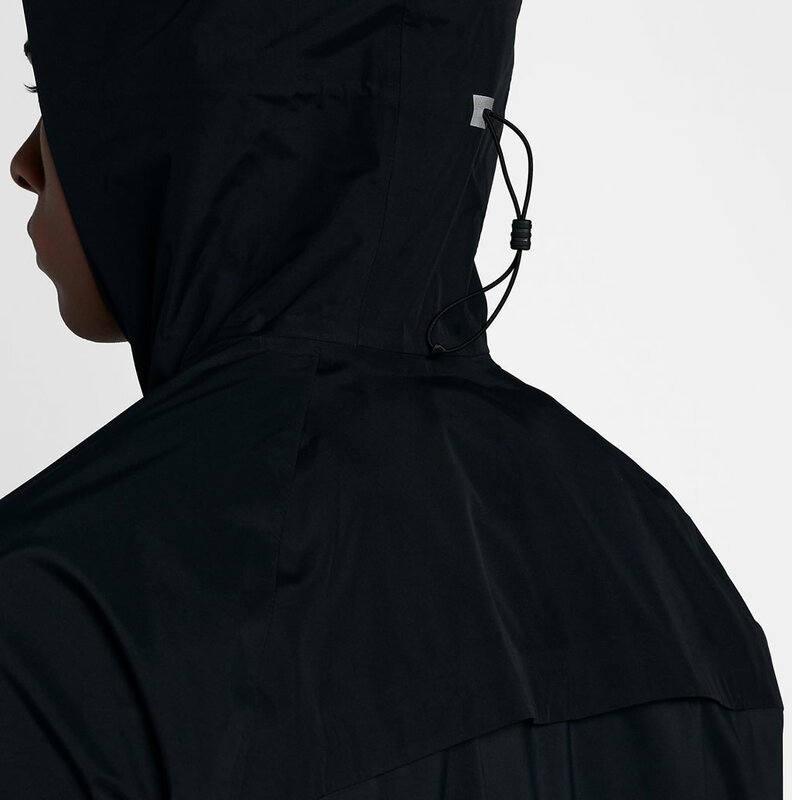 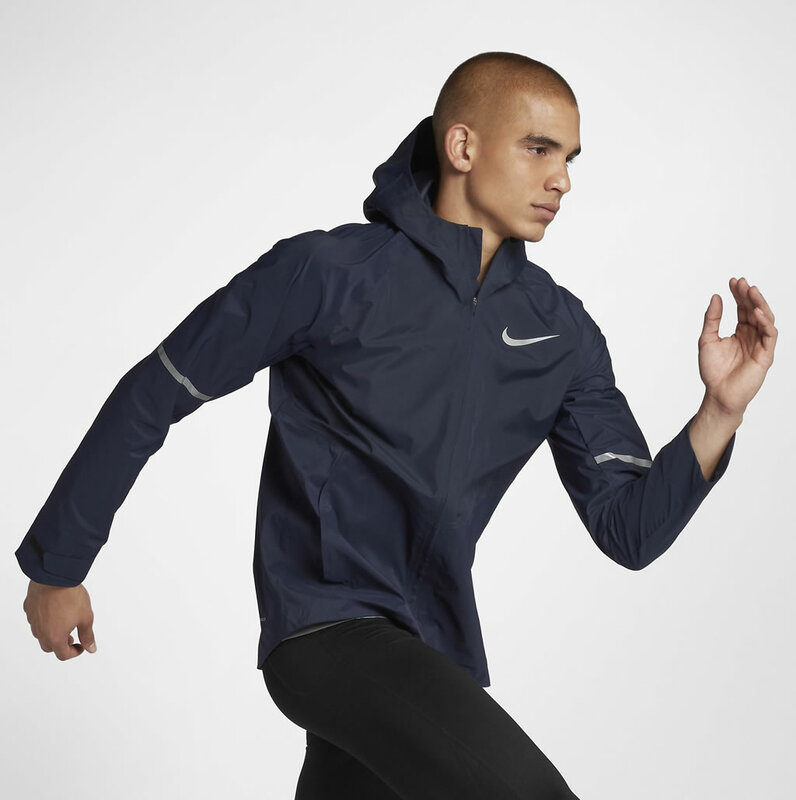 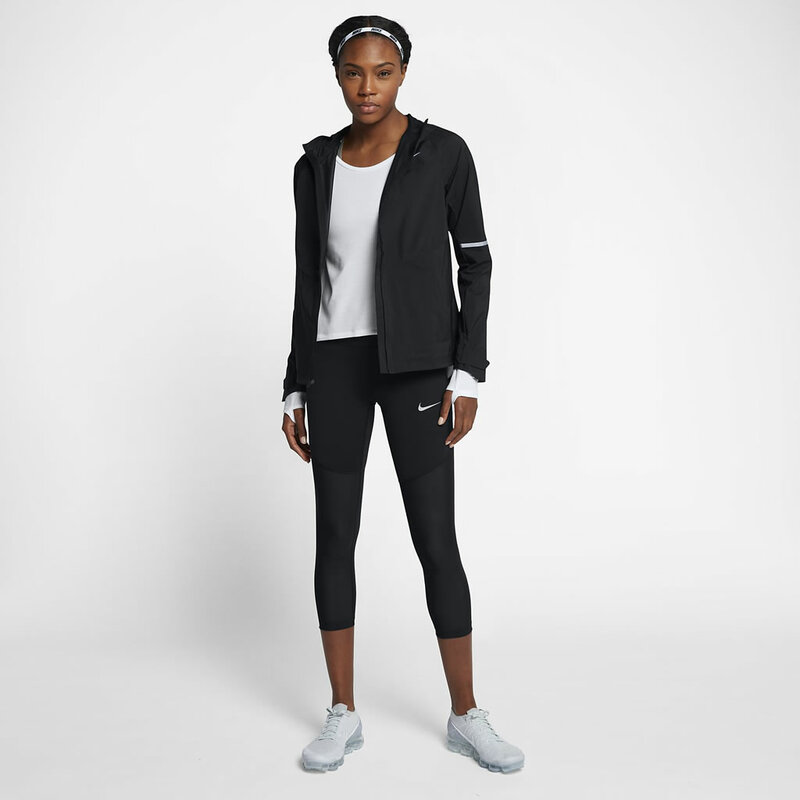 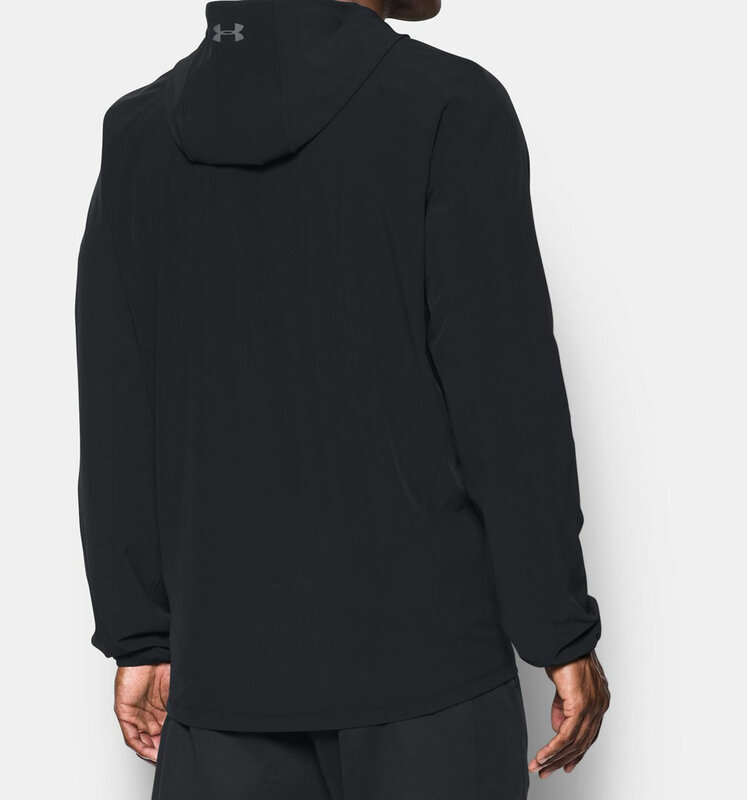 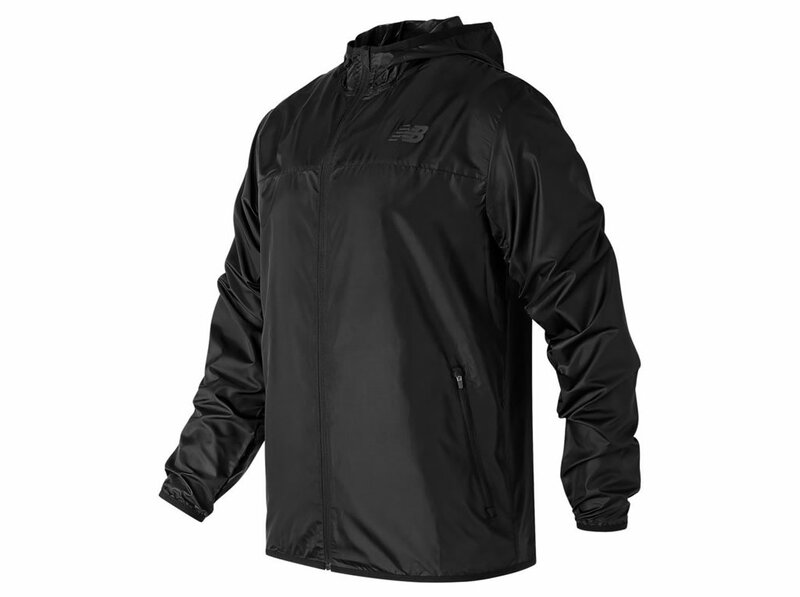 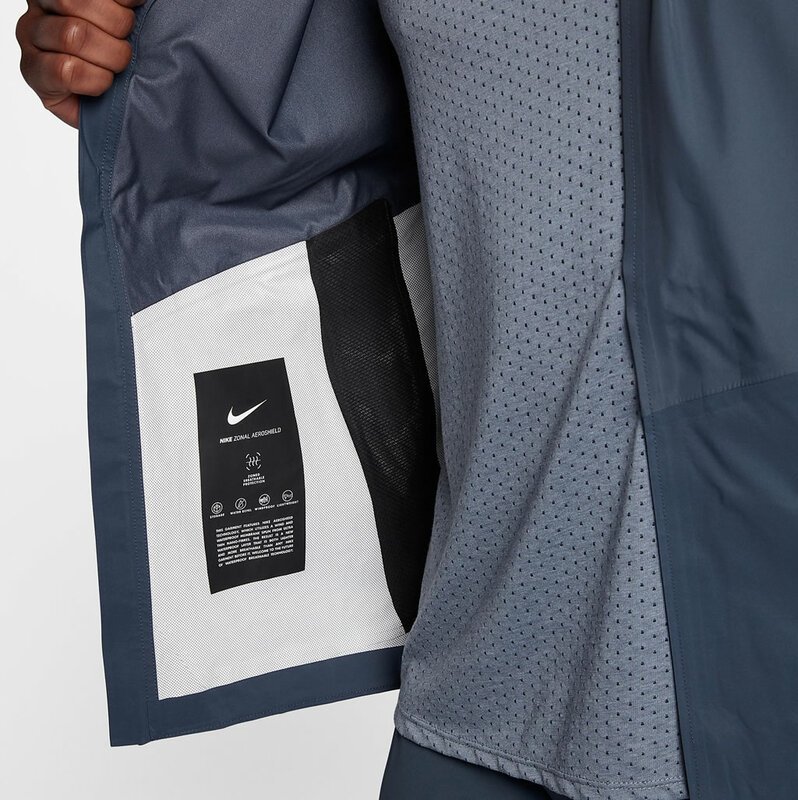 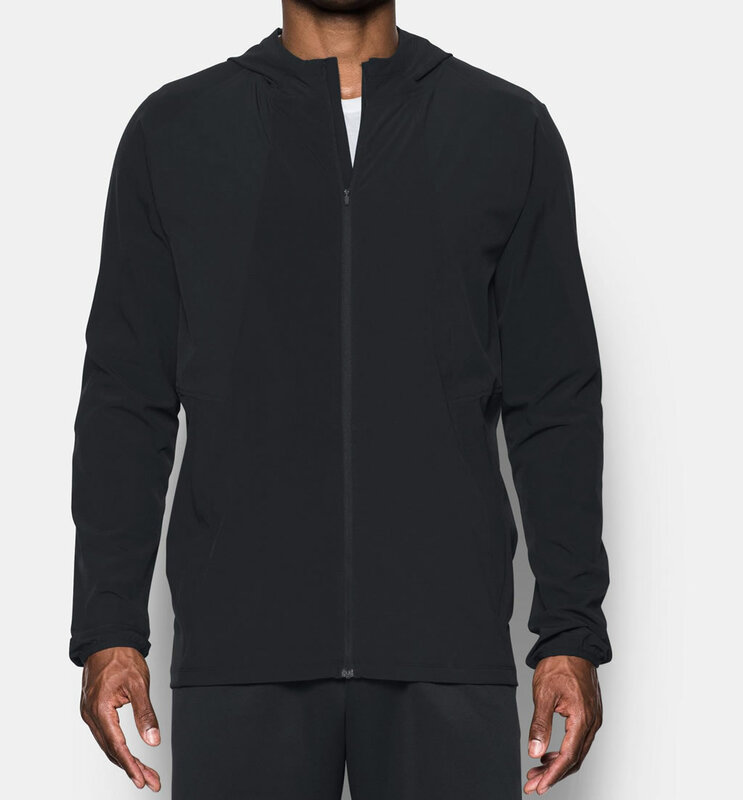 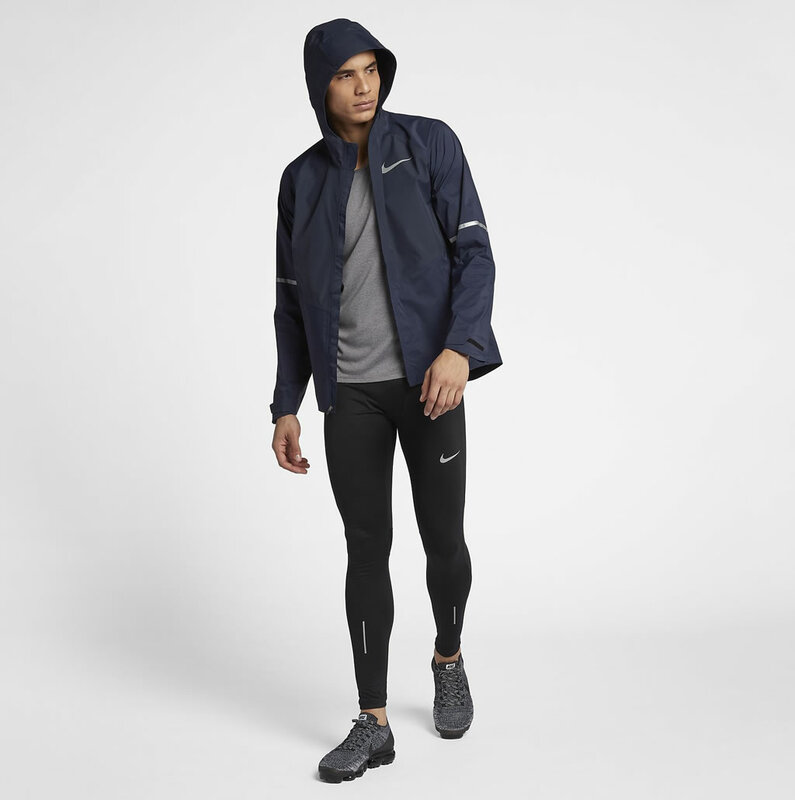 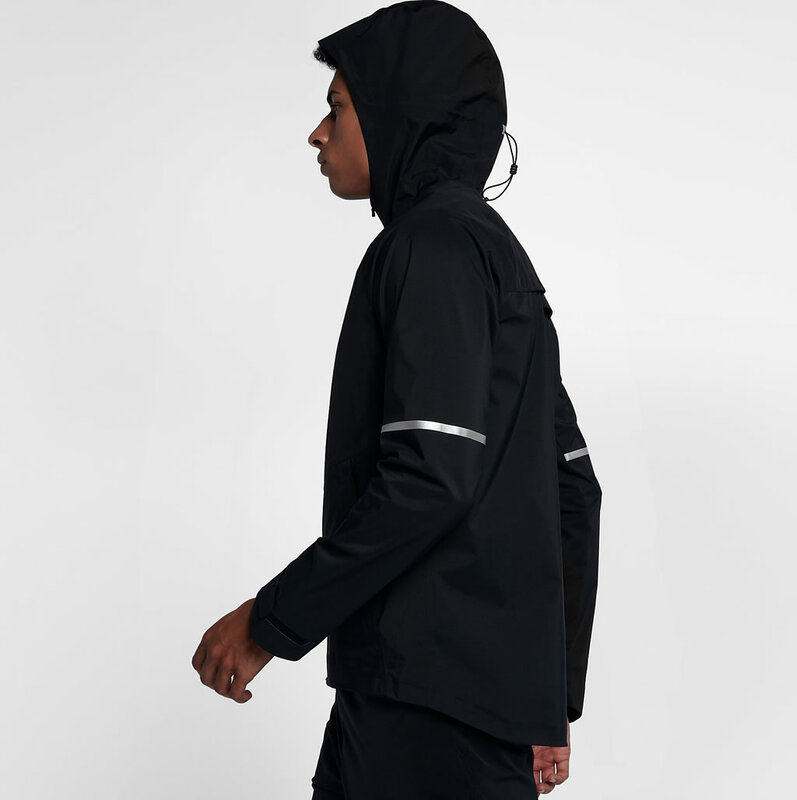 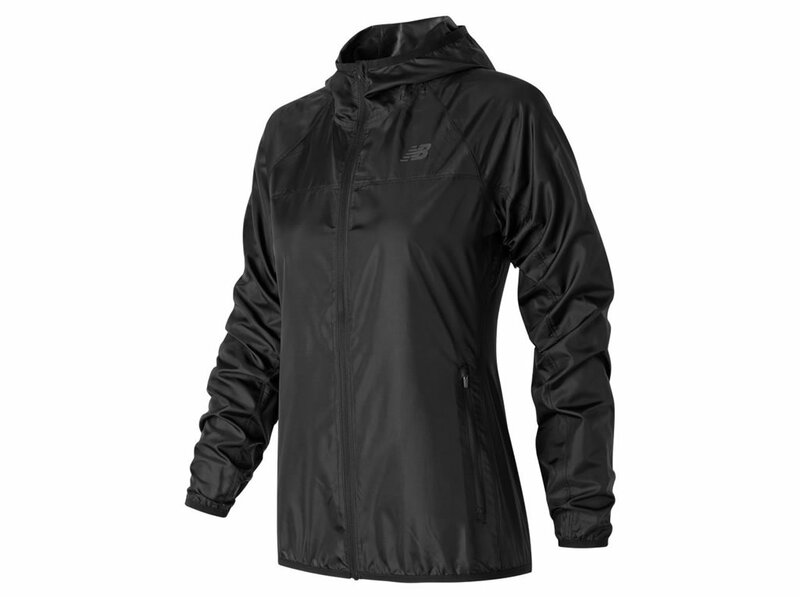 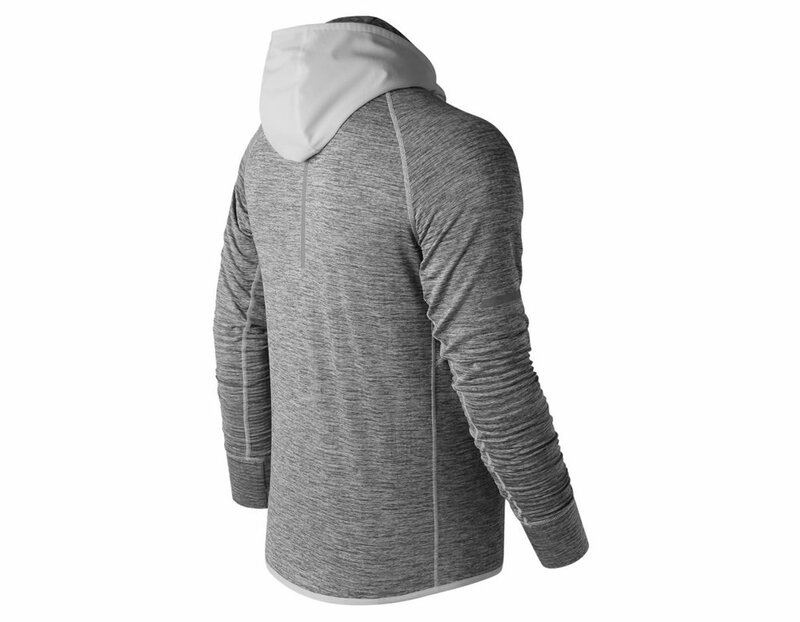 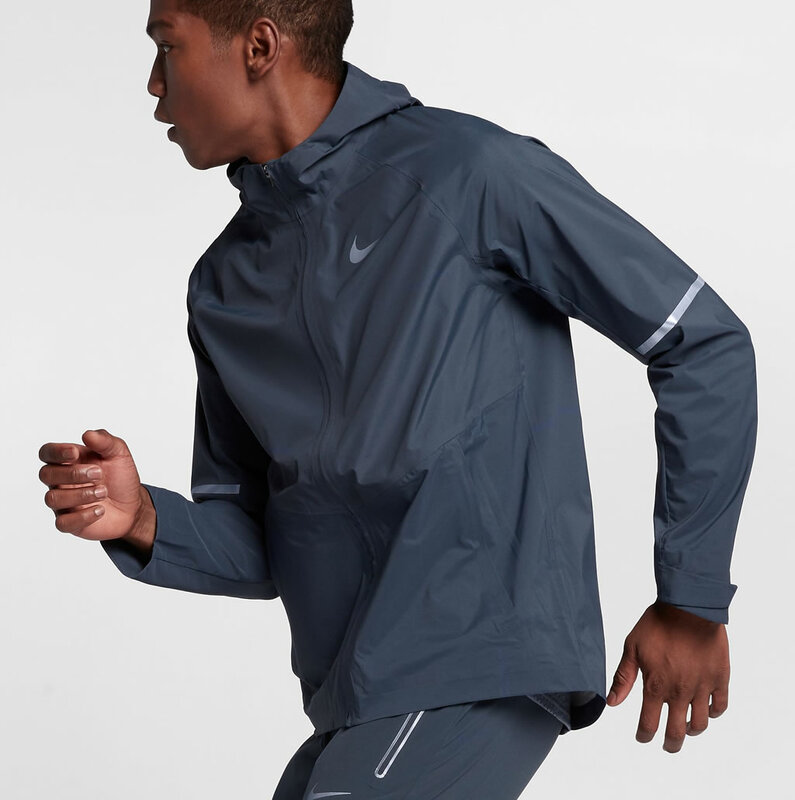 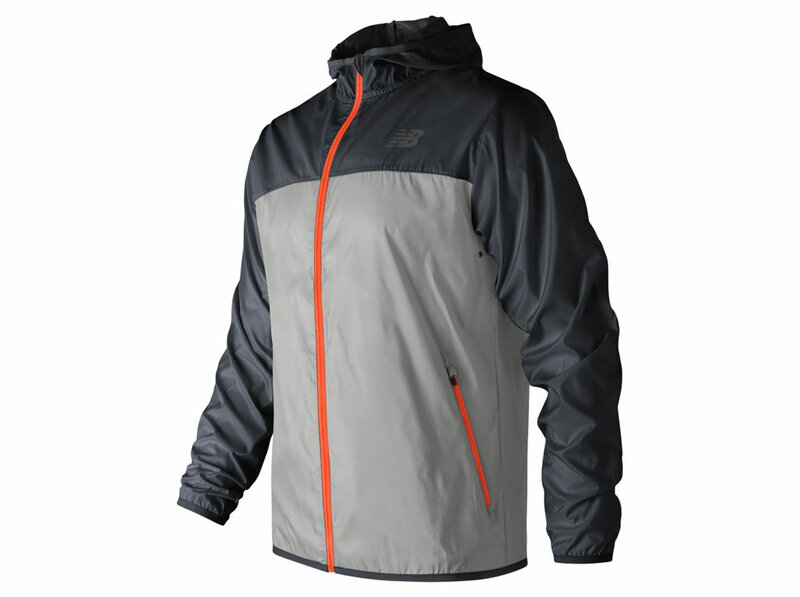 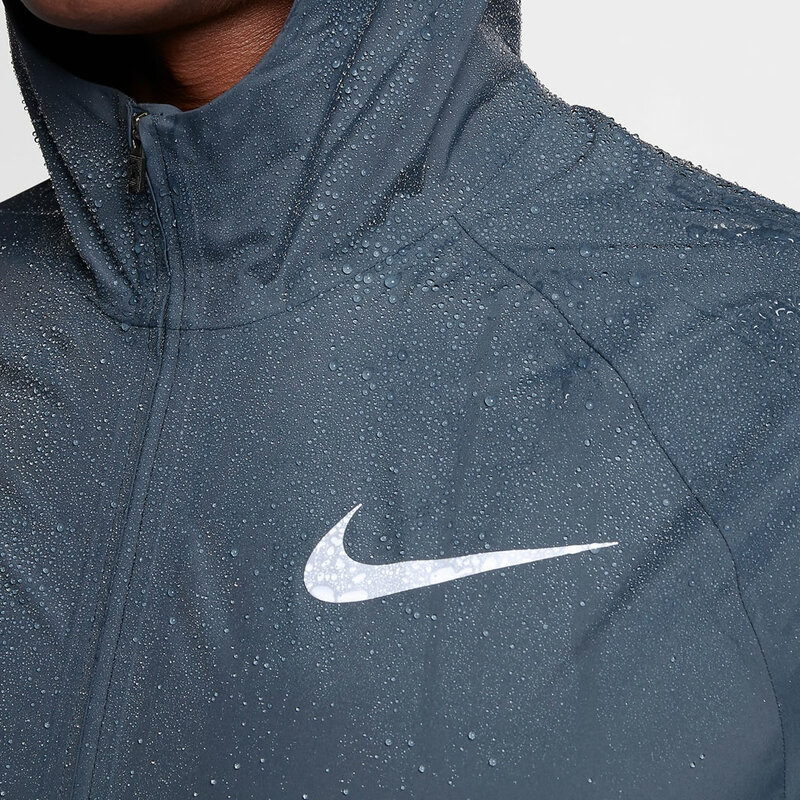 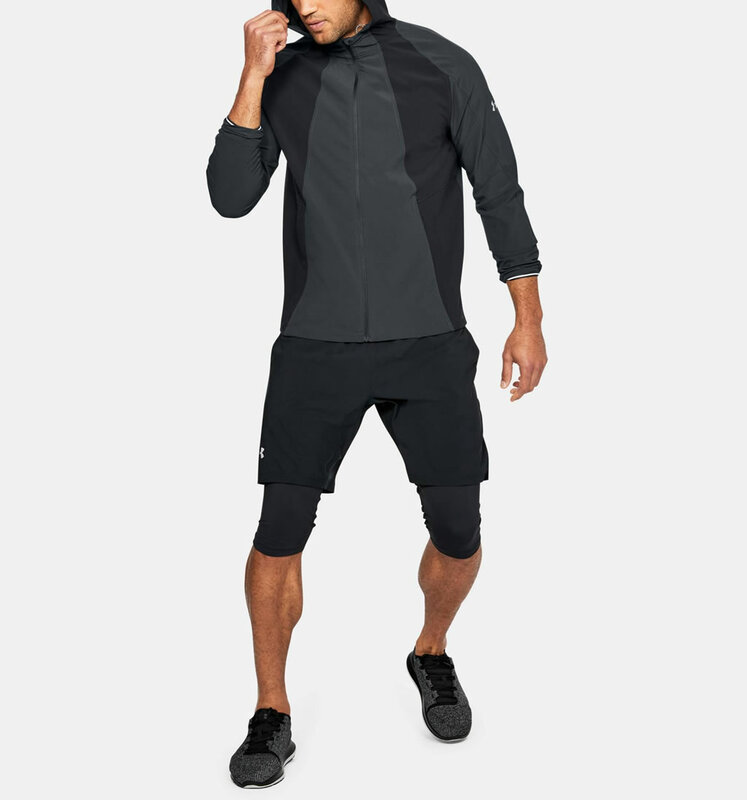 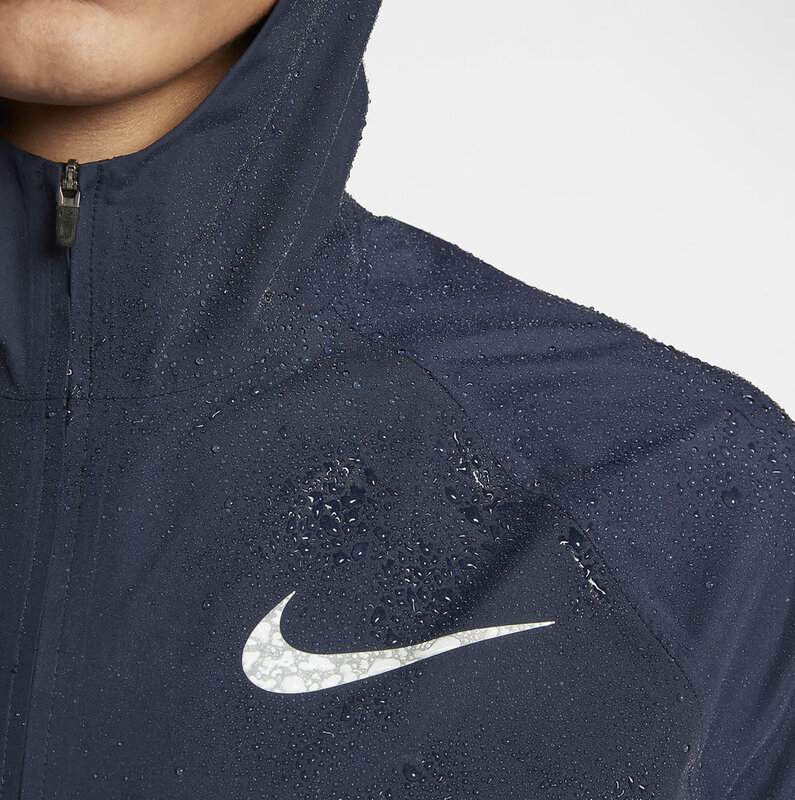 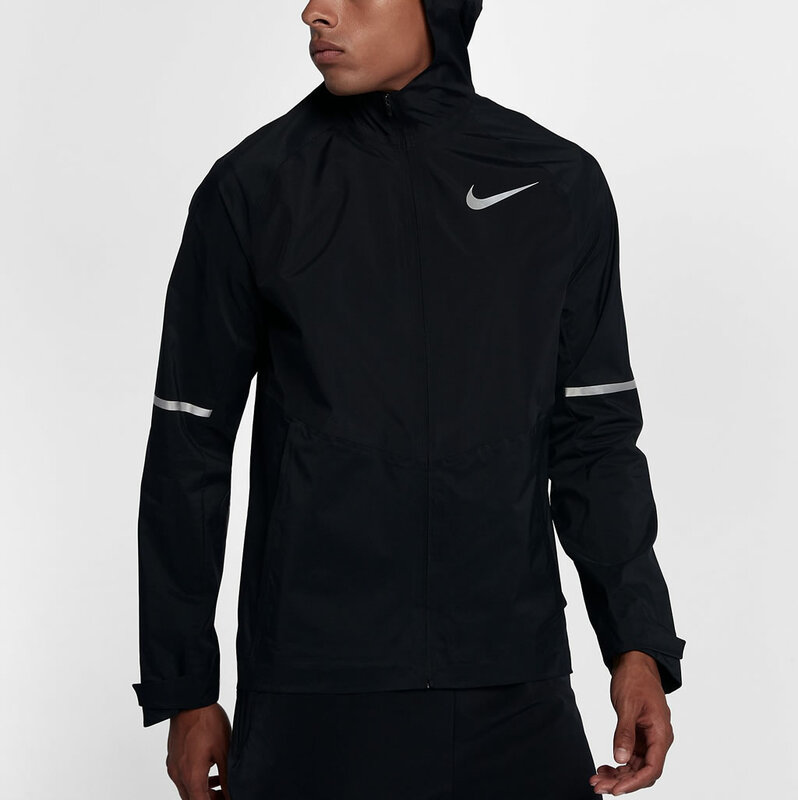 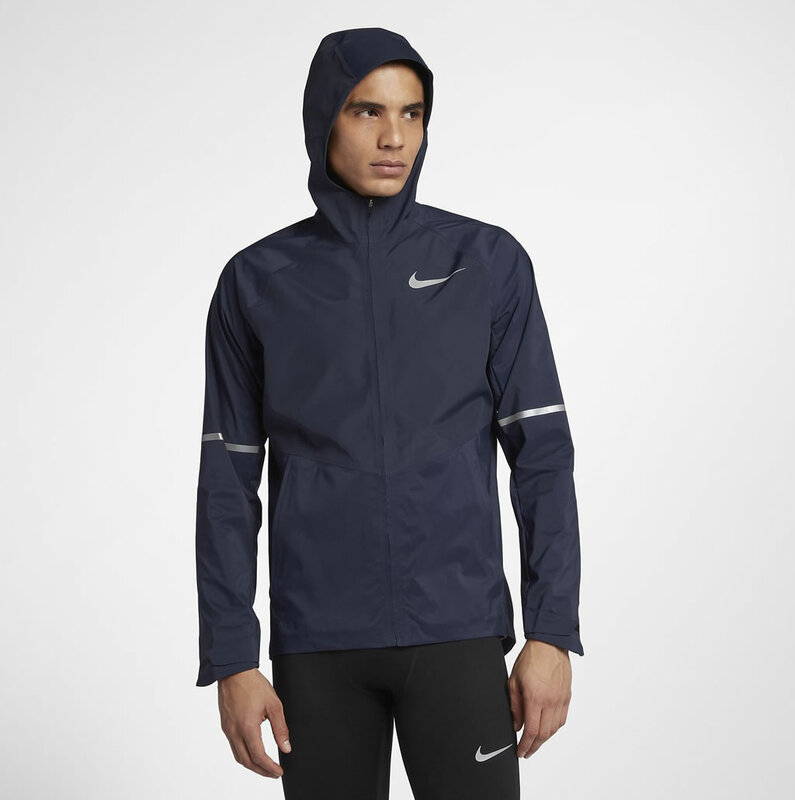 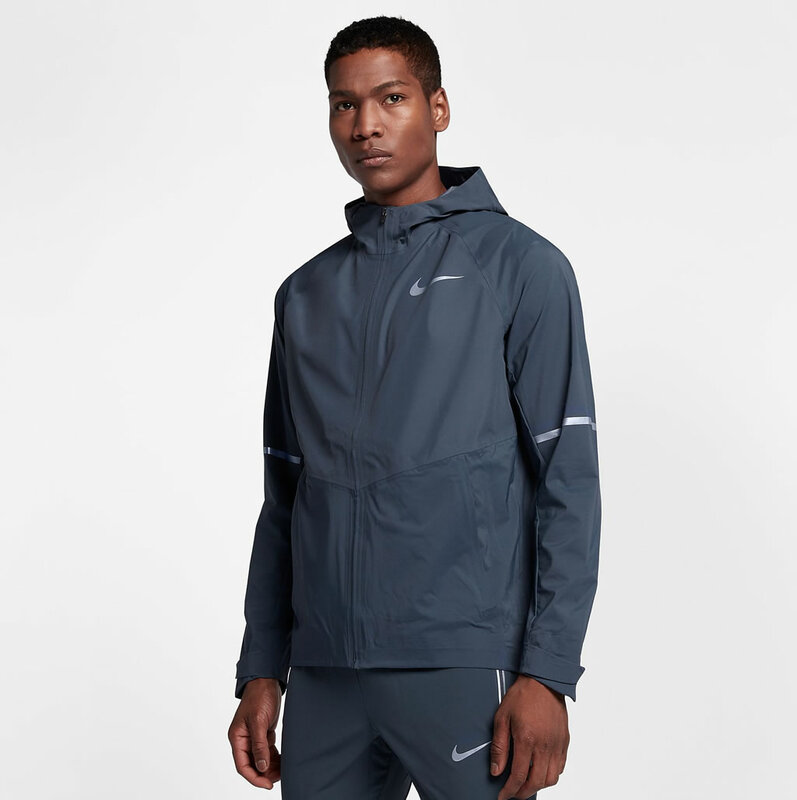 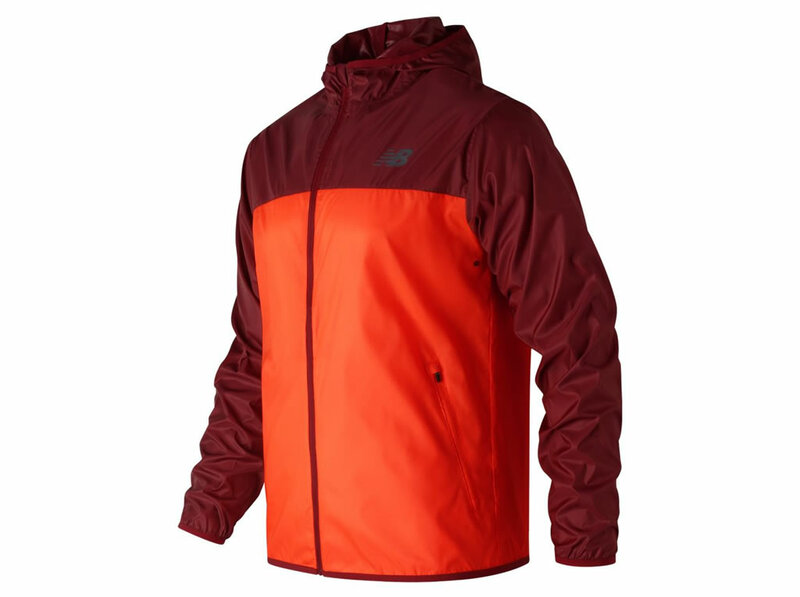 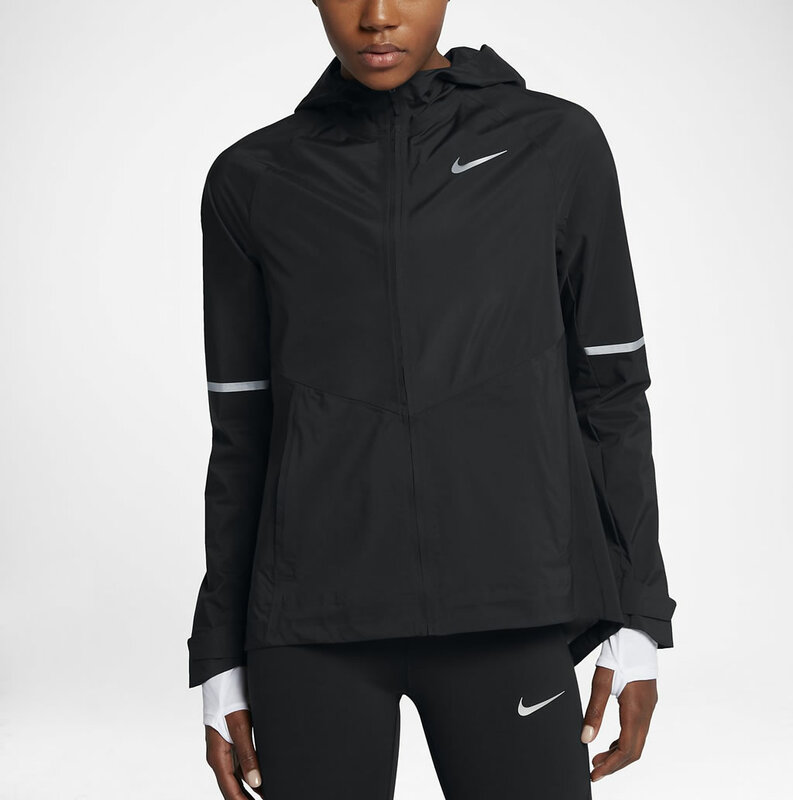 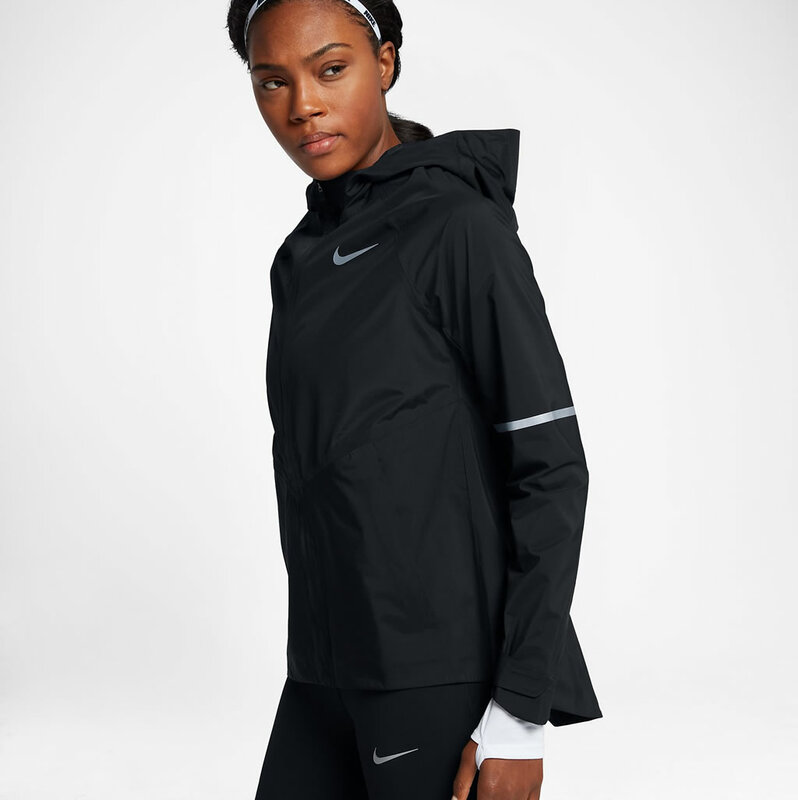 This Nike running jacket for men and women incorporates the AeroShield technlogy that maintains the user’s body core temperature while preventing overheating. 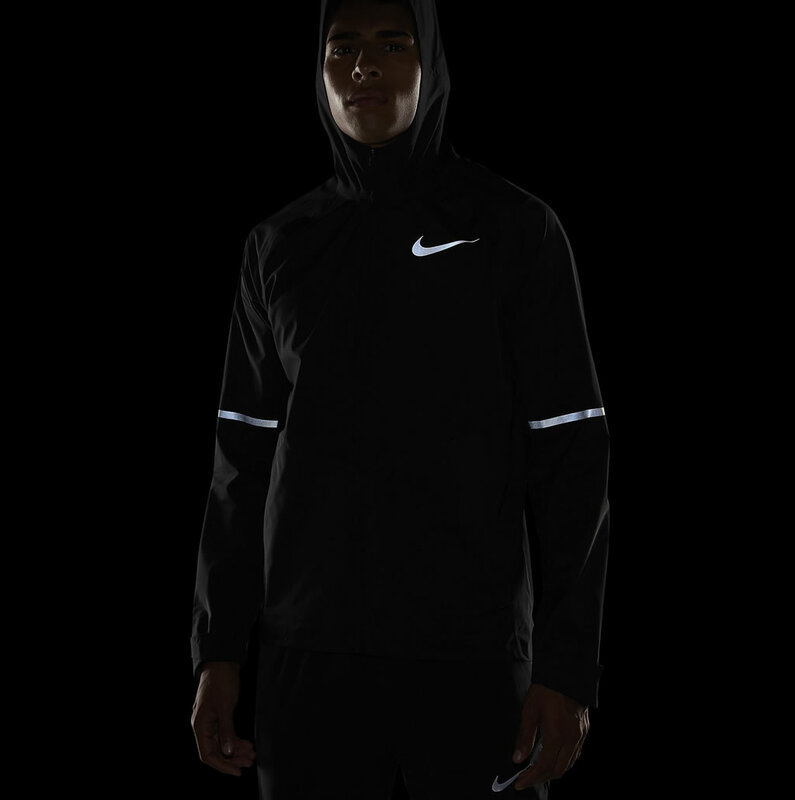 If you plan on running during low-light conditions, the reflective highlights will definitely come in handy. 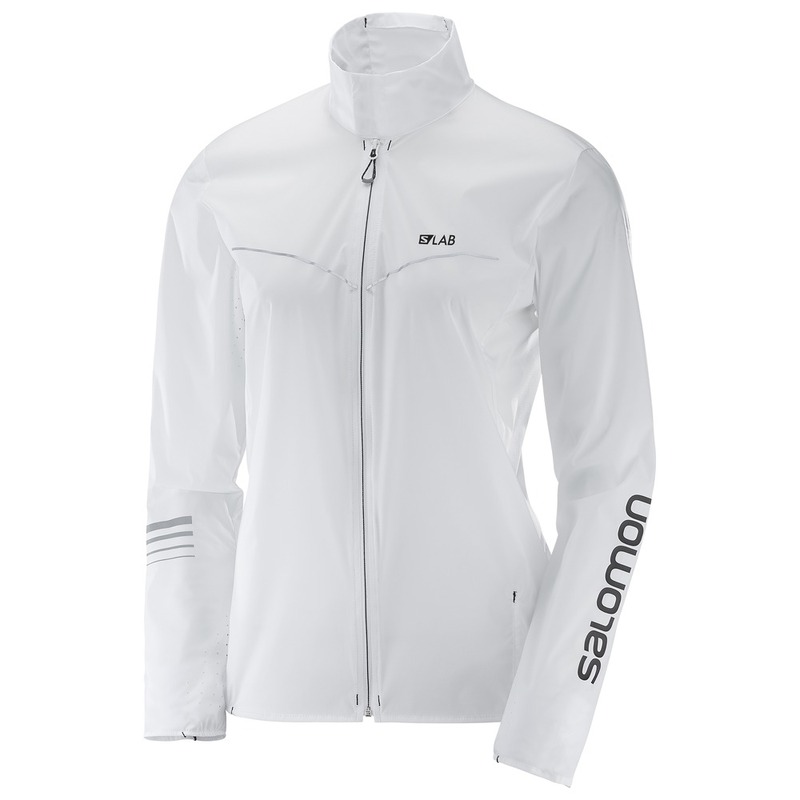 For those cold mornings when you want to feel comfortable on your daily jog, Salomon has you covered. 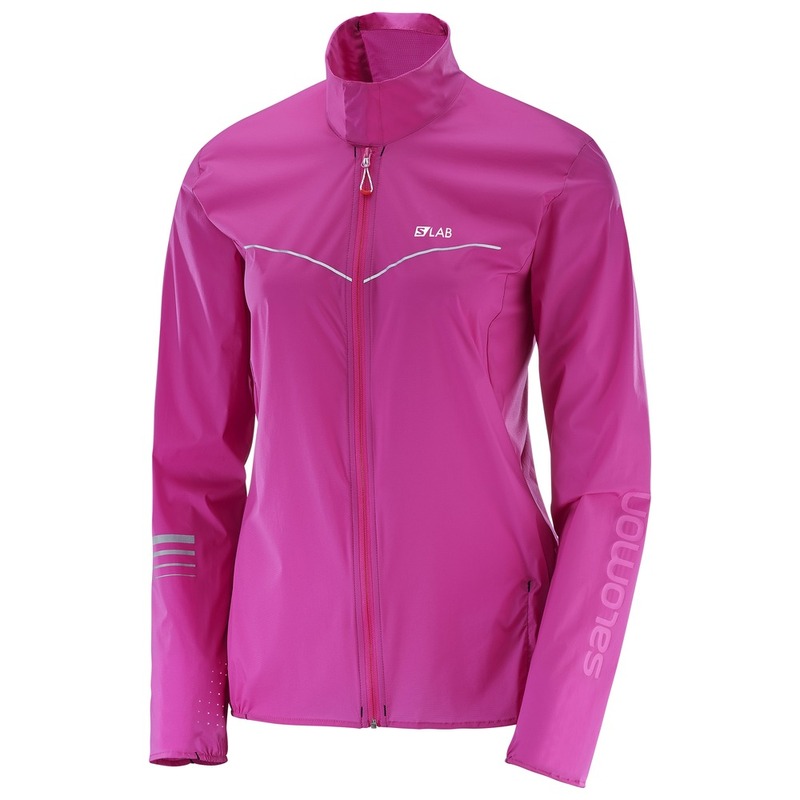 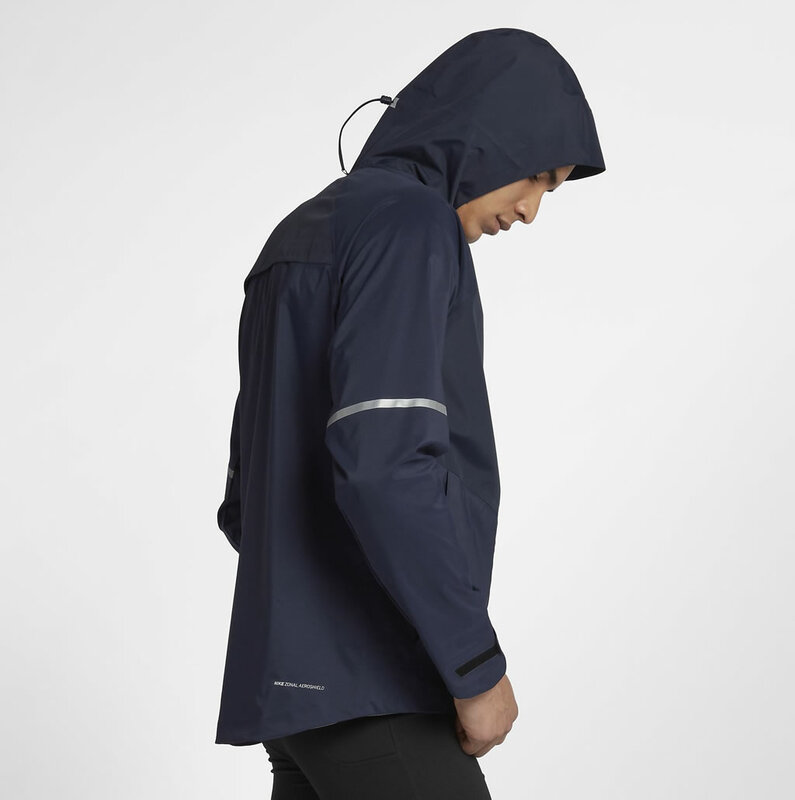 Lightweight and comfortable, this packable running jacket from Salomon has pockets that can store the actual jacket thanks to a foldable design. 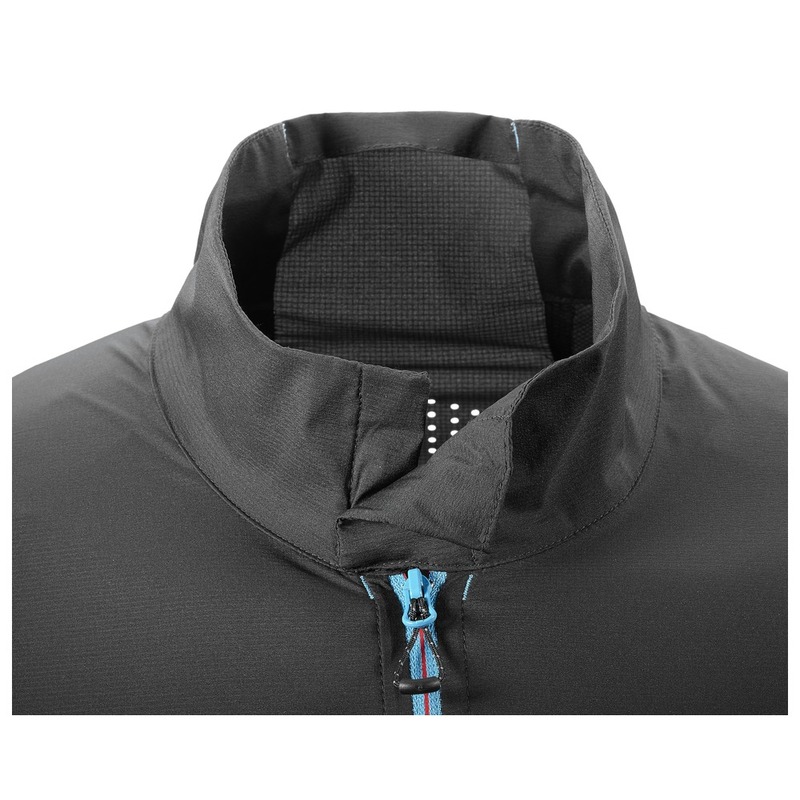 It was created using a Pertex Microlight fabric with a Durable Water Repellent finish that will offer you outstanding warmth while providing the right amount of breathability. 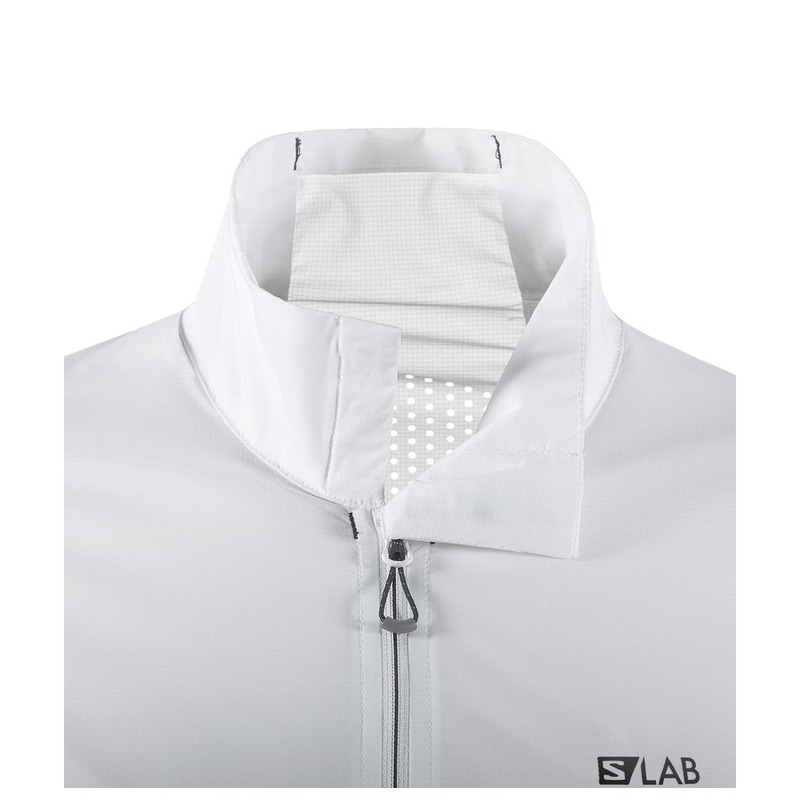 The Active Fit that provides freedom of movement, the internal stash pocket on the front left, and the magnetic collar are also nice touches. 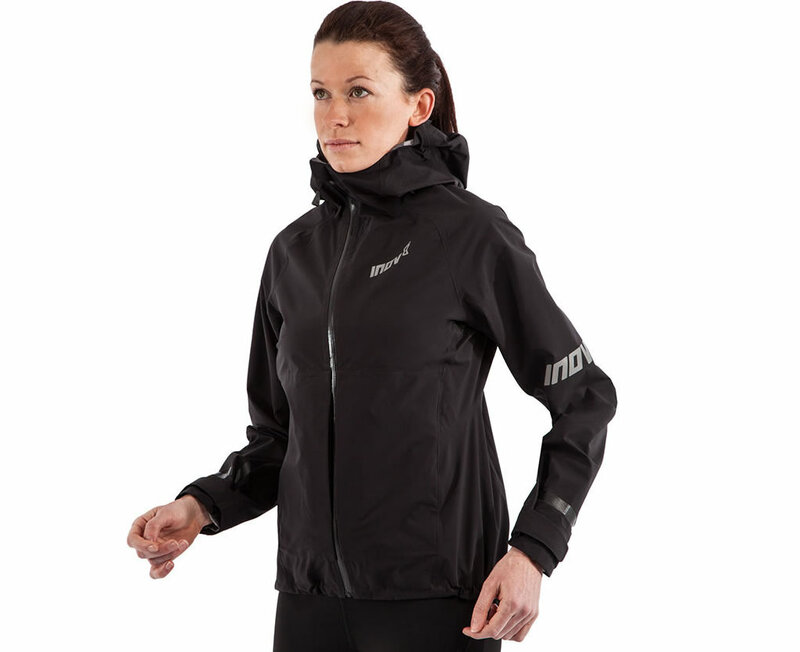 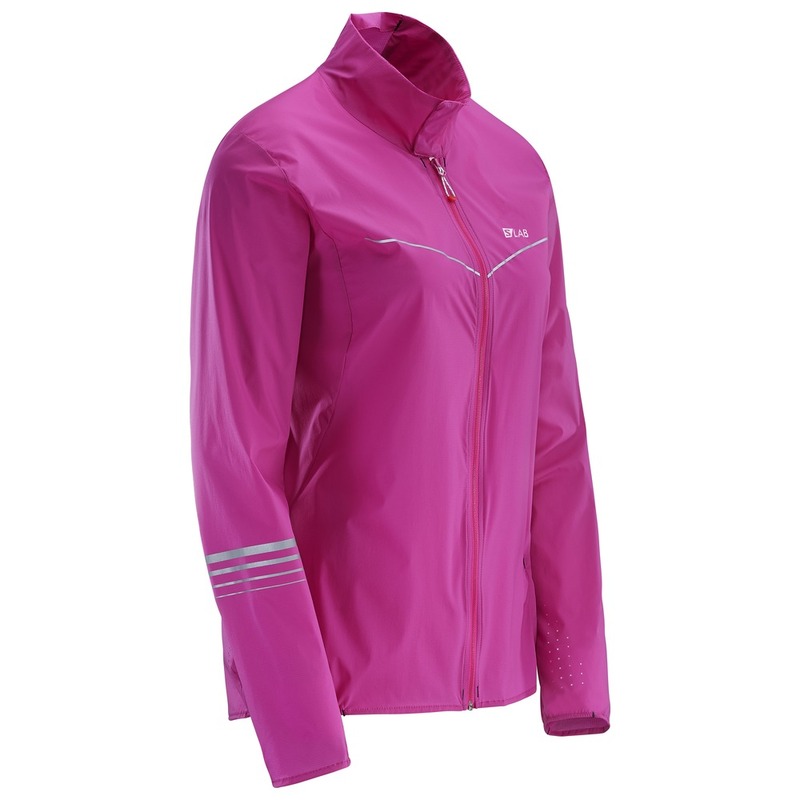 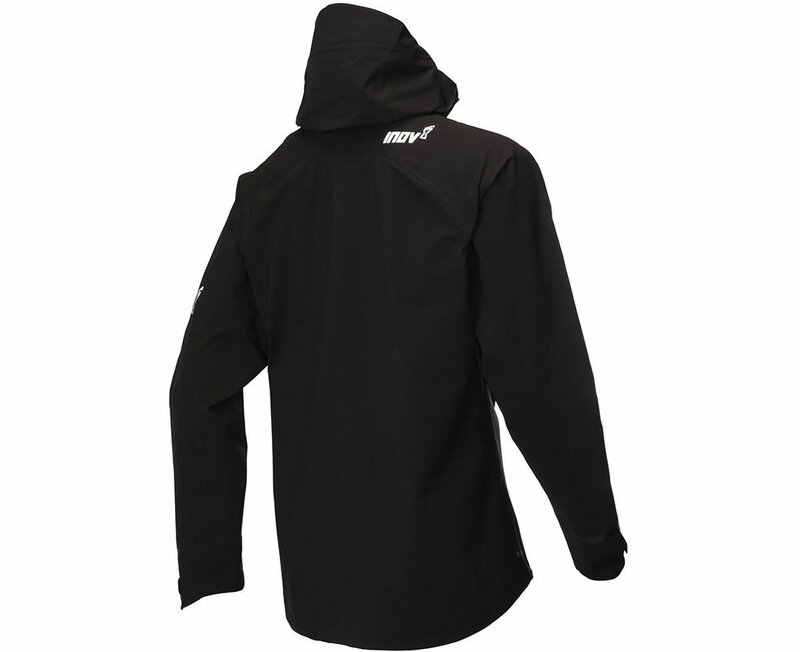 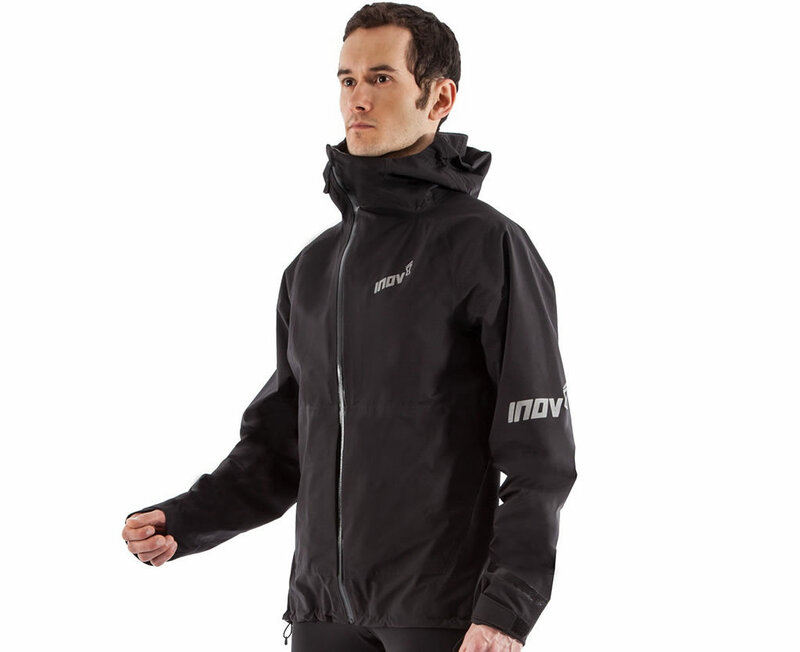 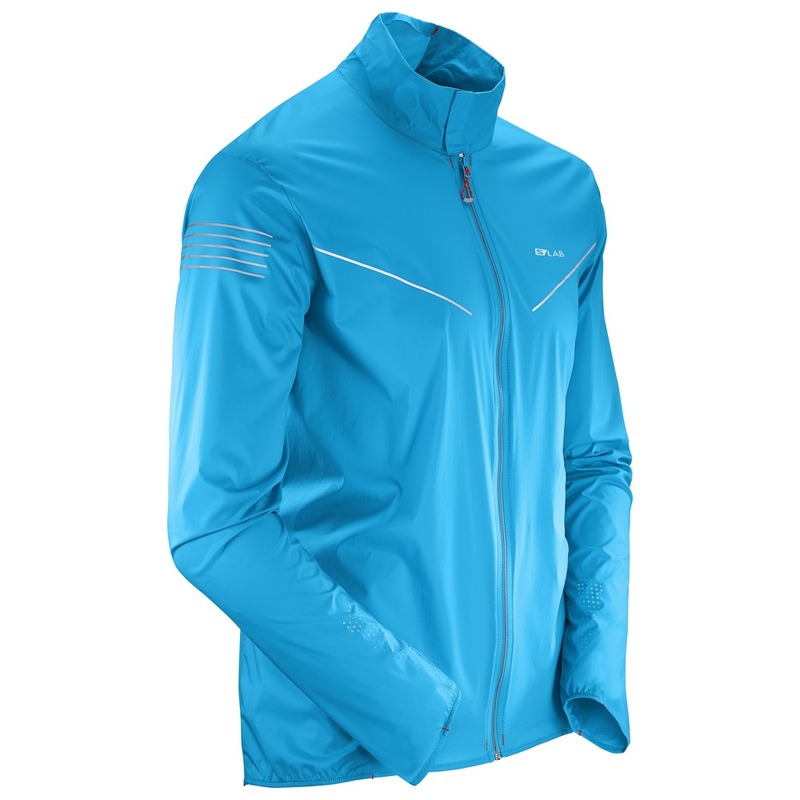 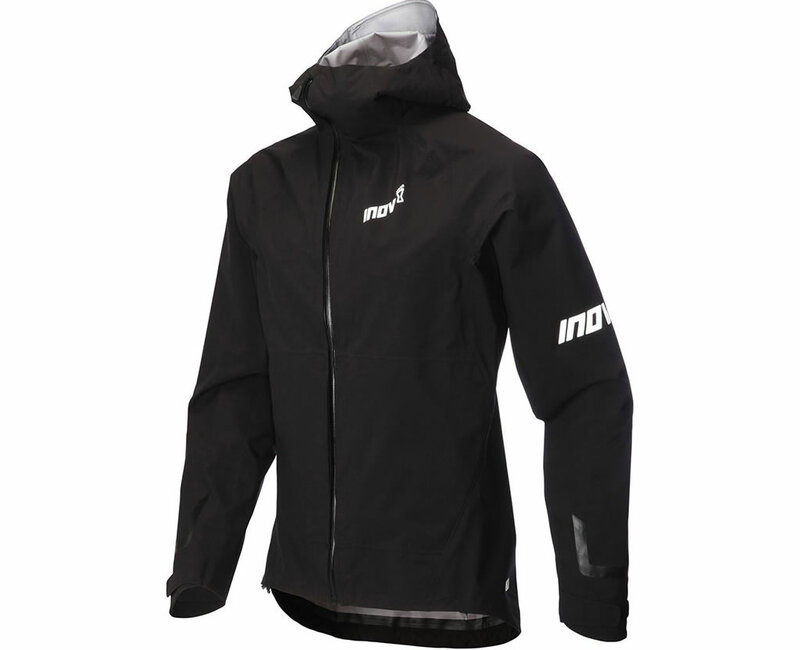 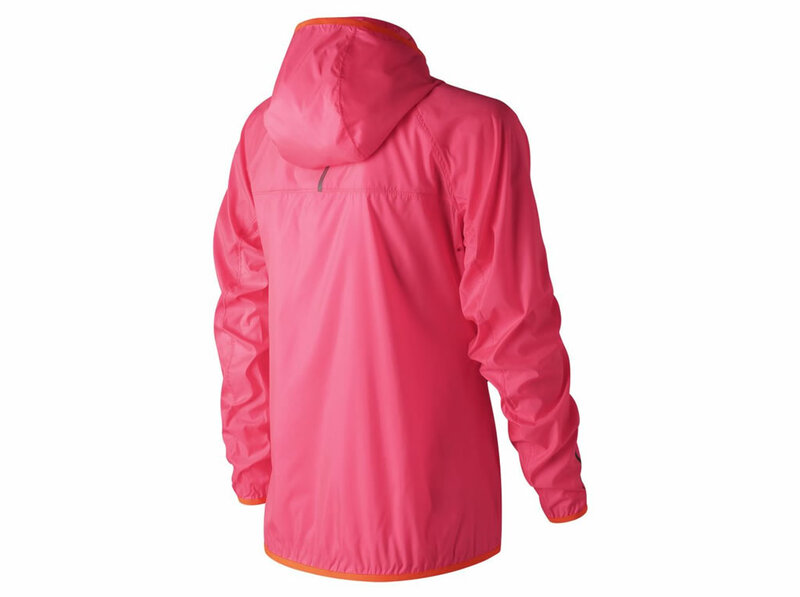 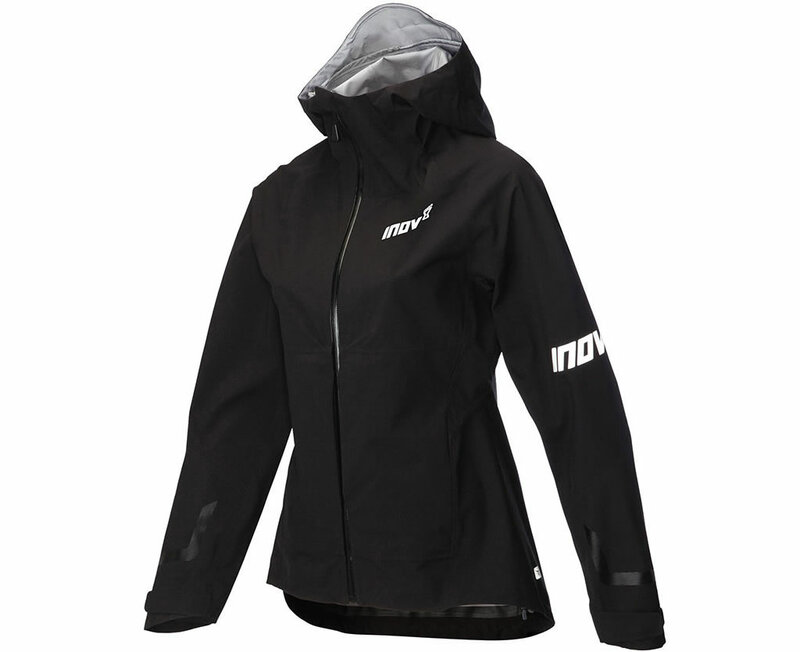 The Inov-8 AT/C Protec-Sheell jacket was created specifically for mountain runners and multi-day ultra racers, which is why it features a 3-layer waterproof fabric, as well as a breathable Pertex Shield Pro membrane. 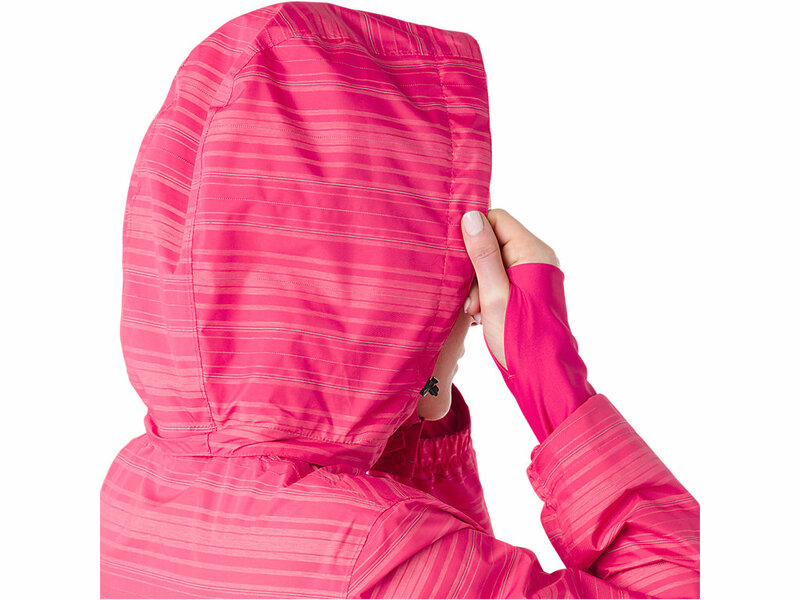 The product is fully seam-sealed, and it comes with an ergonomic hood and extended peak with multi directional adjustment cords, which delivers outstanding protection without cutting down on mobility or vision. 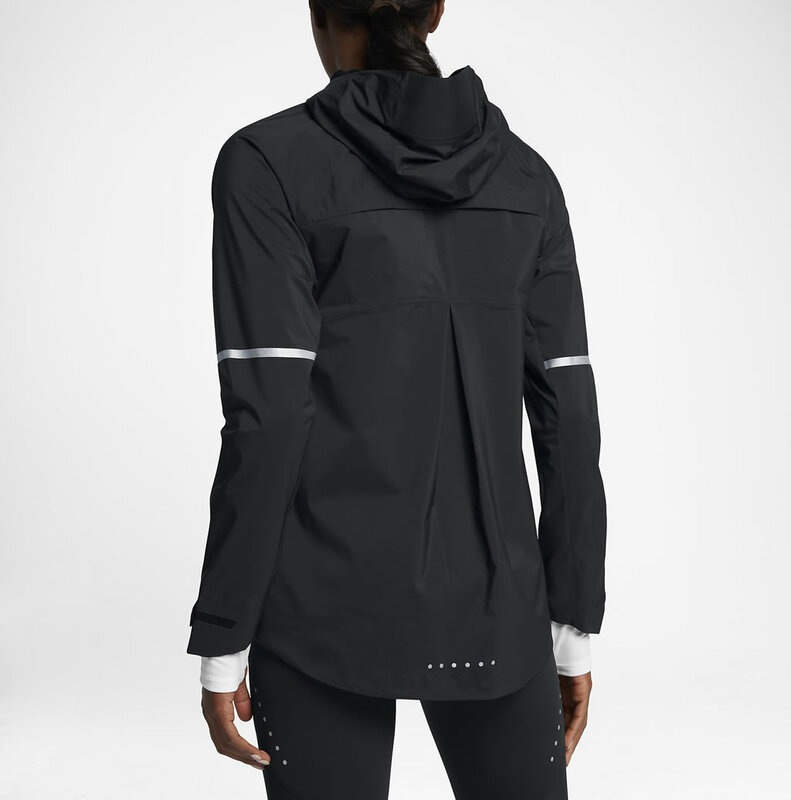 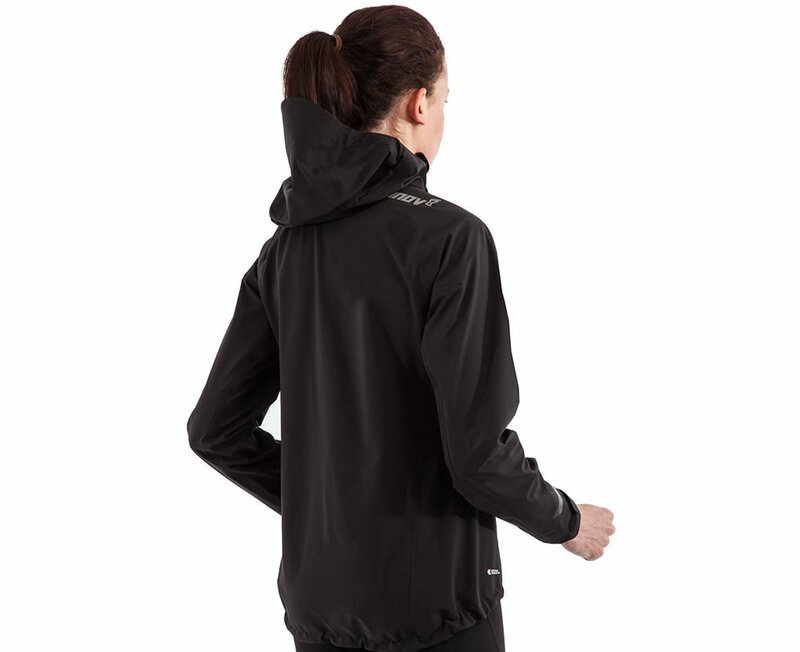 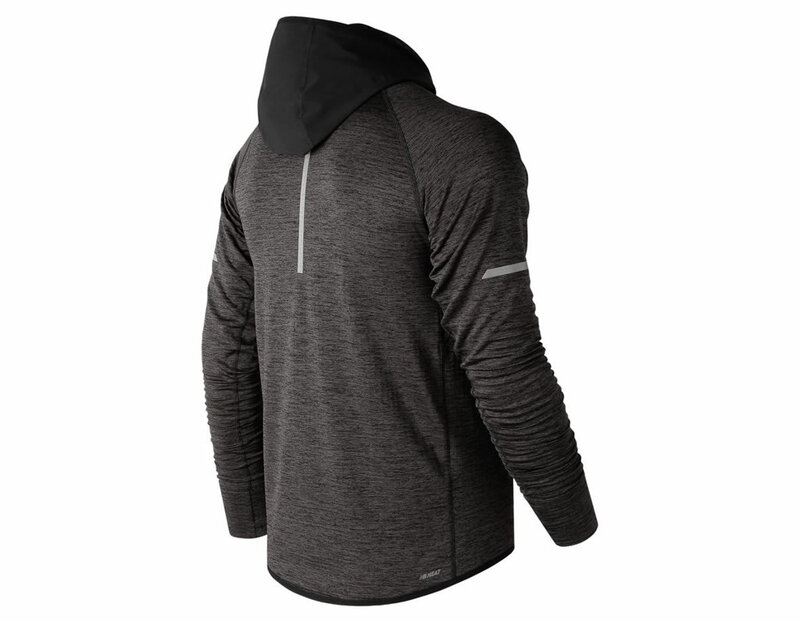 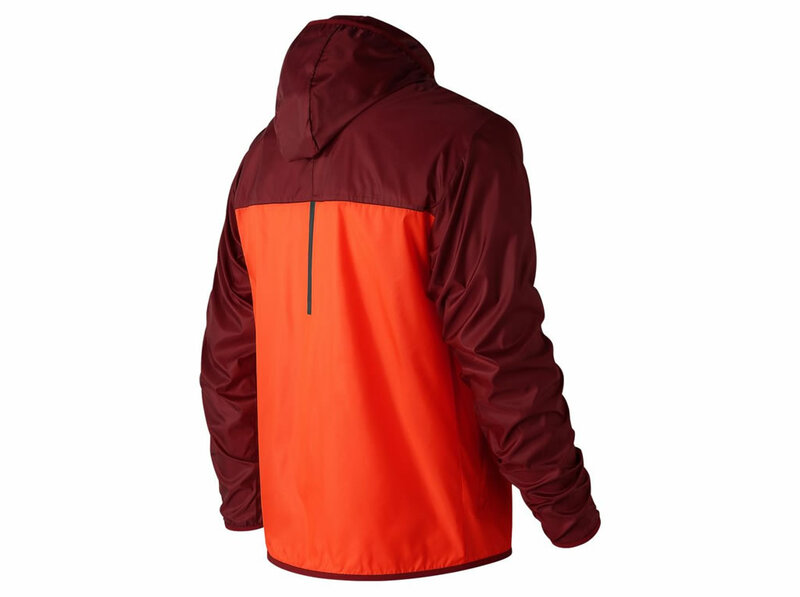 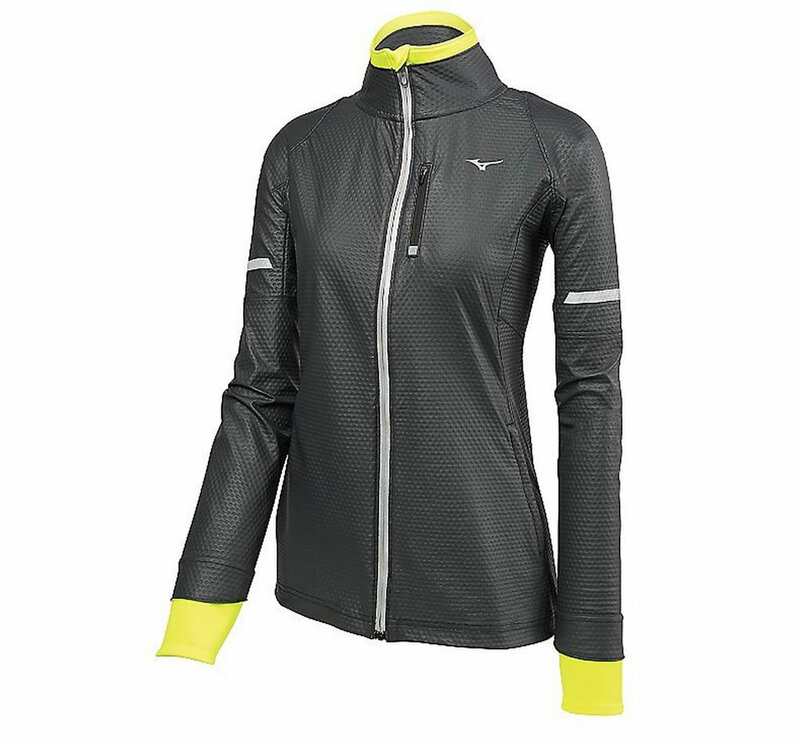 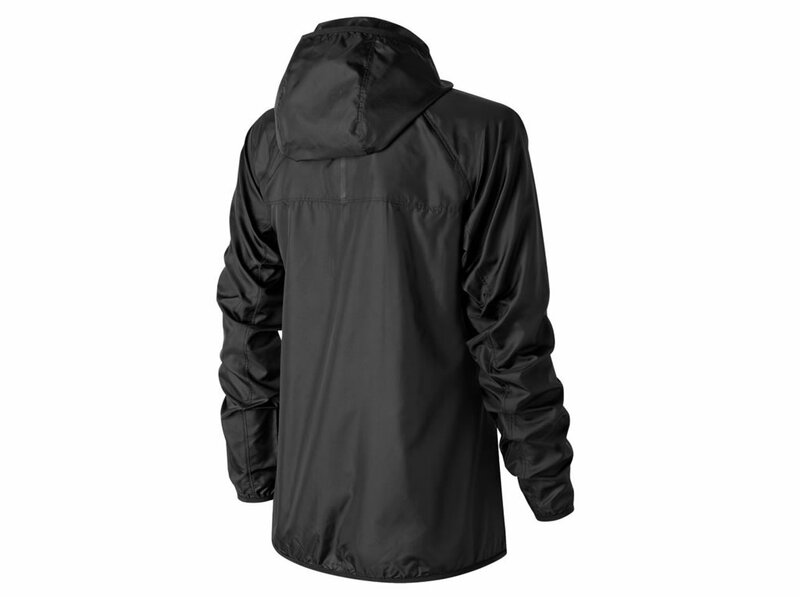 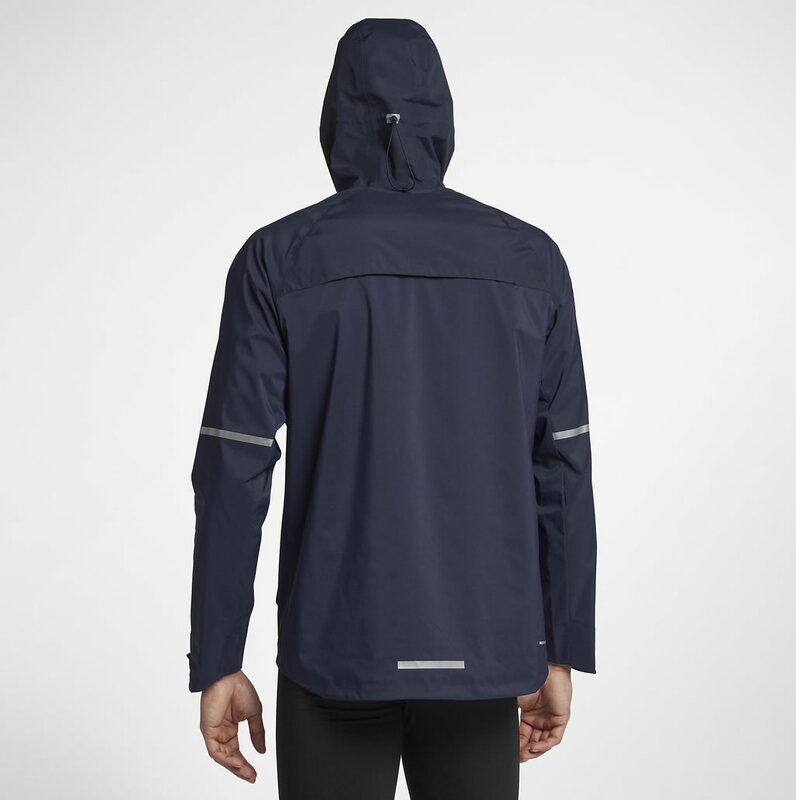 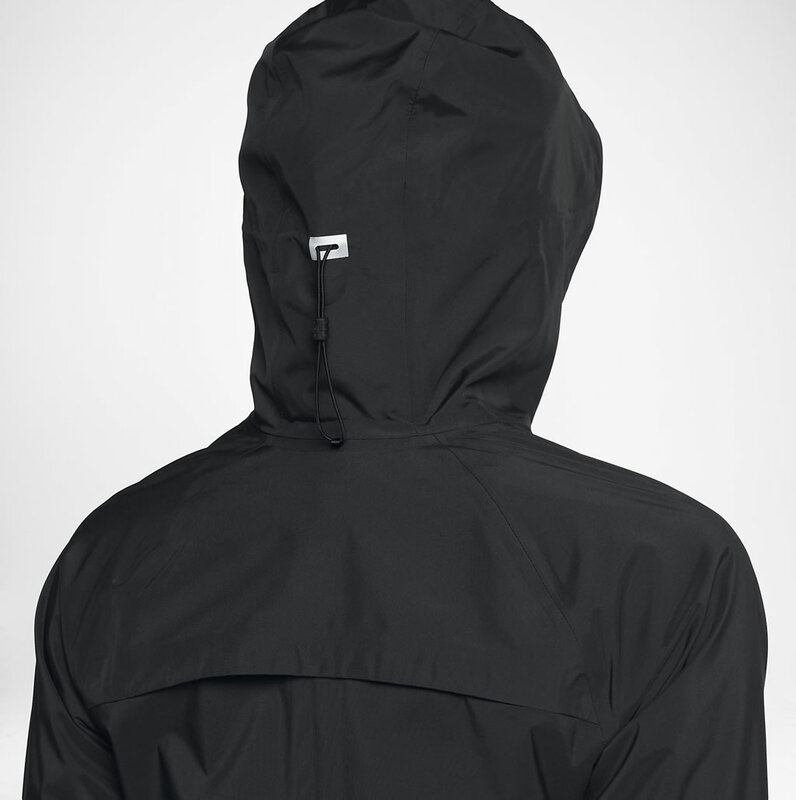 This waterproof running jacket with hood also impresses with a full-length front zip that curves away from the face in order to minimize irritation, while the Streamline technology keeps your hands warm at all times. 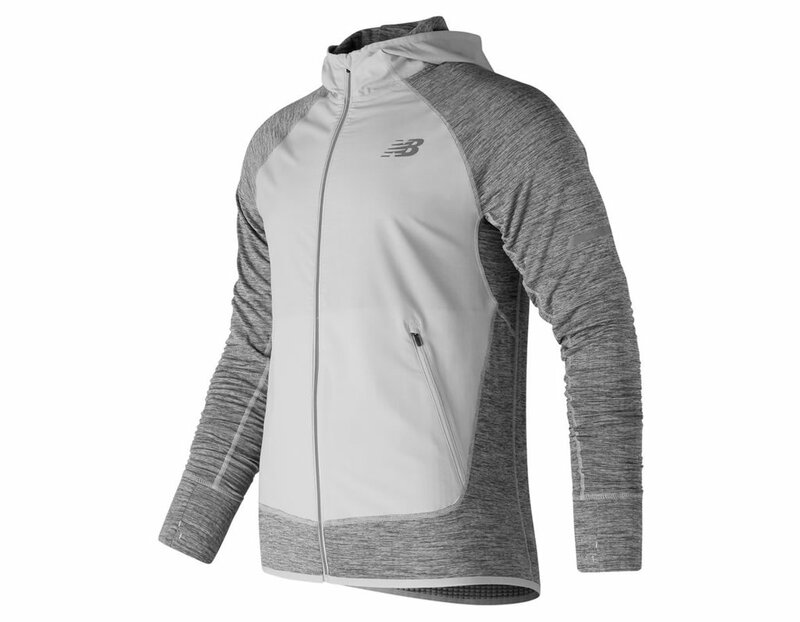 Next up we have this new Static Breath Thermo Softshell running jacket by Mizuno, which was created using a mix of 84% polyester and 16% polyacrylate. 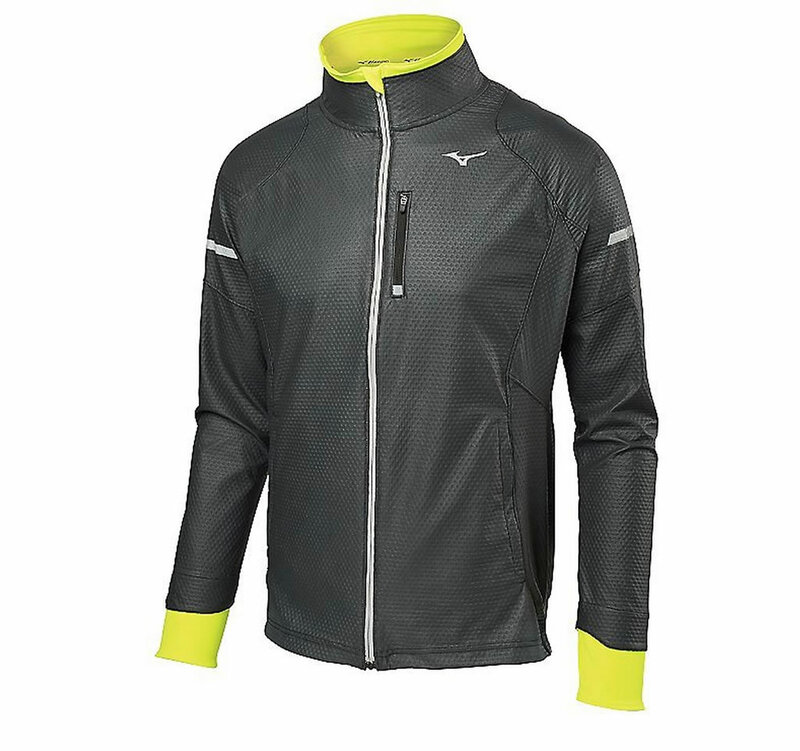 Completely wind and water-resistant, this thermal softshell jacket by Mizuno boasts a reflective design, as well as two side pockets that can be used as cargo pockets. 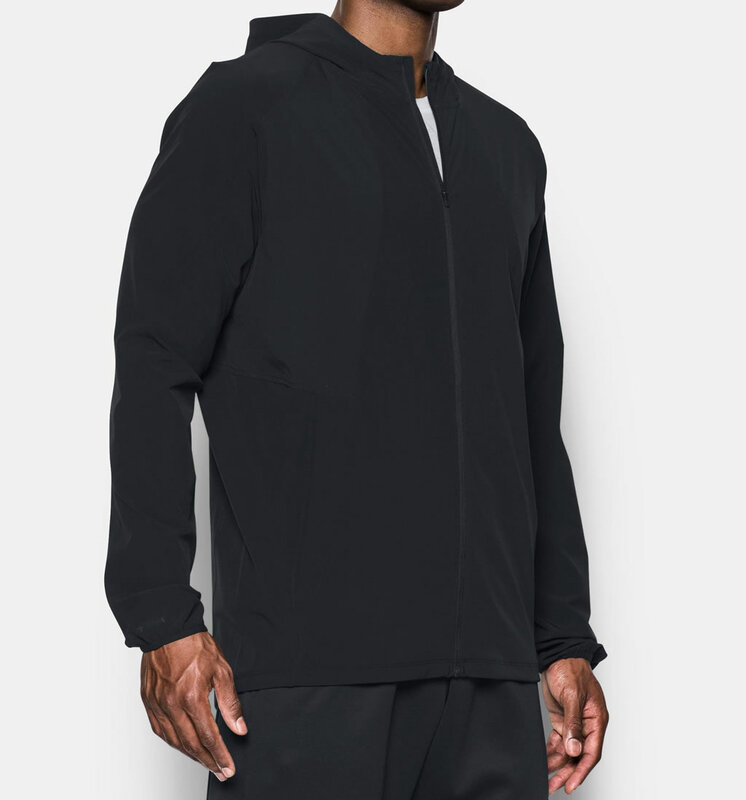 A more tailored fit is also a part of the deal, as it is the lightweight outershell bonded with Breath Thermo for extra warmth. The NB Windcheater running jacket comes in 4 colorways named Alpha Pink, Black, Thunder, and Scharlet with Dynamite, and it features sizes ranging from S to 2XL for men, and XS to XL for women. 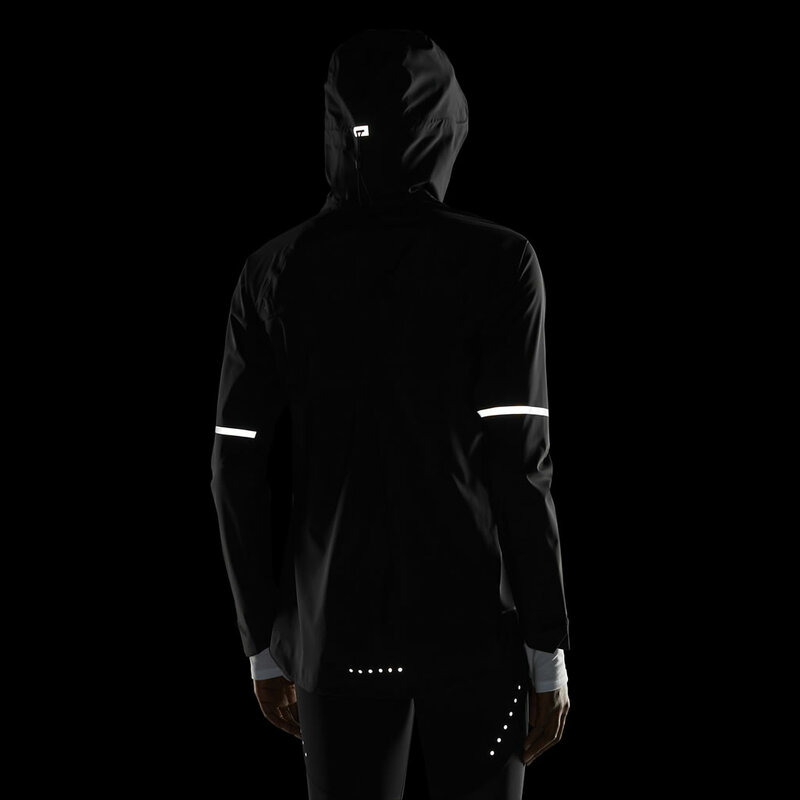 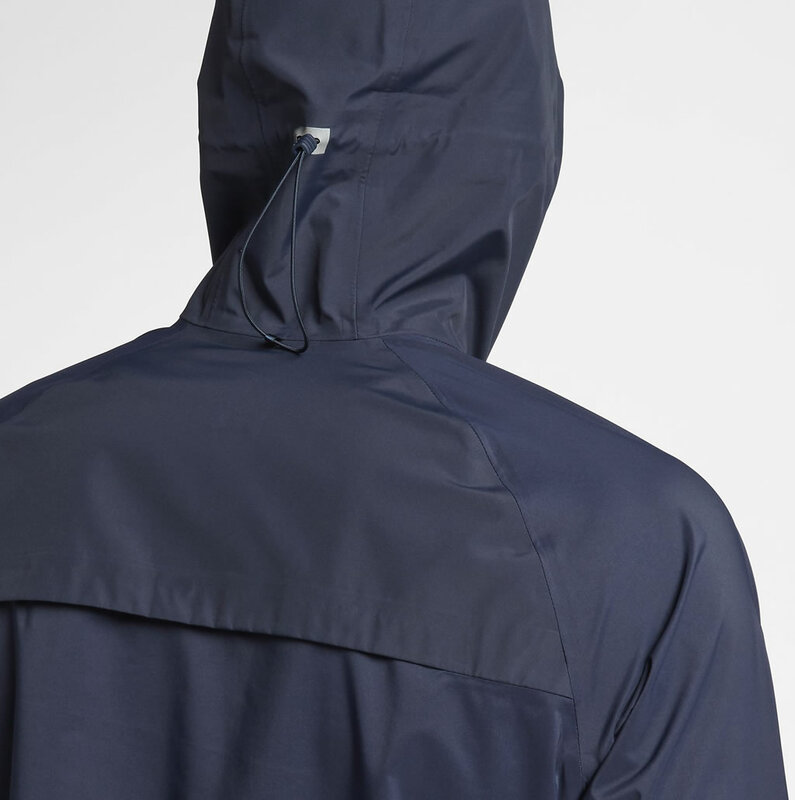 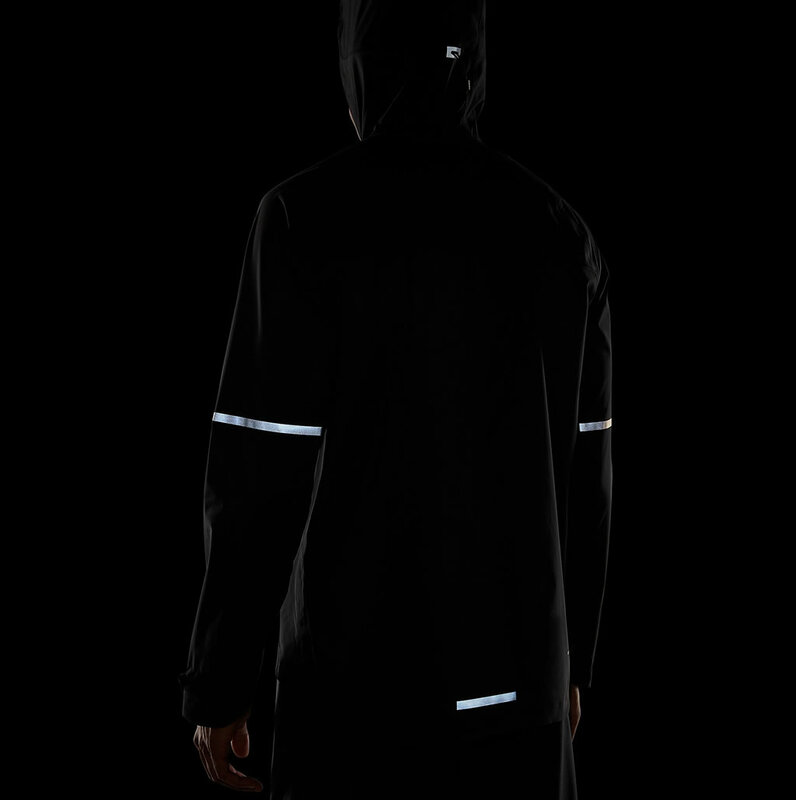 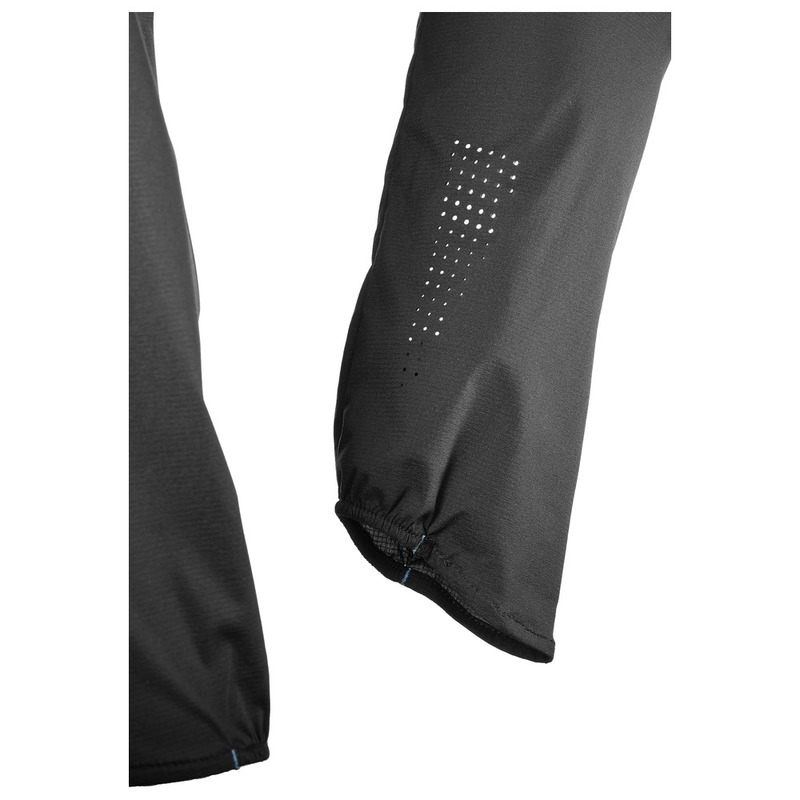 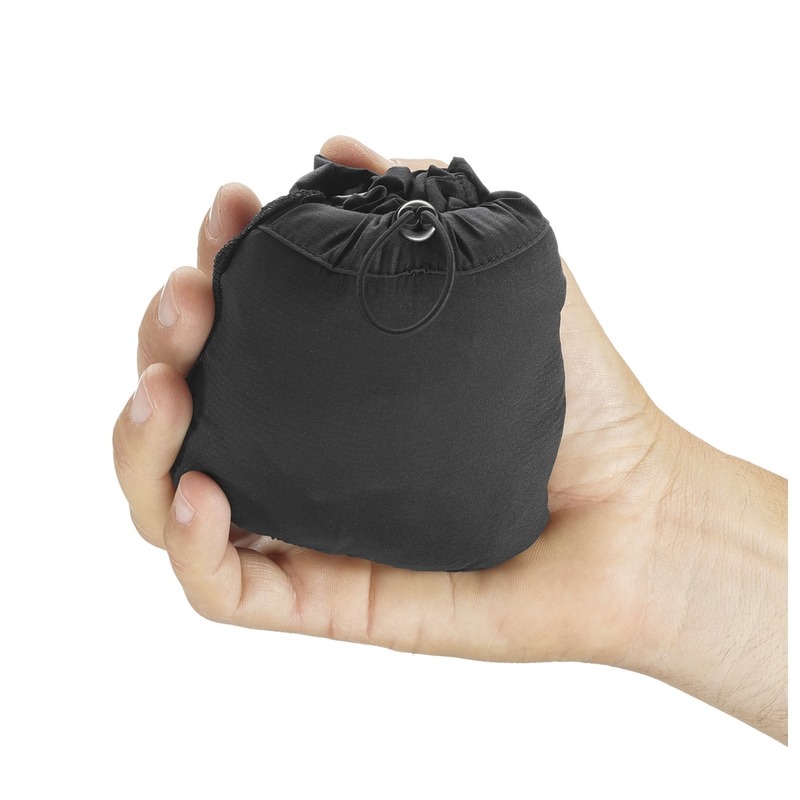 It provides waterproofing, windproofing, and exceptional breathability, and its design incorporates zippered hand pockets, an internal media pocket for your phone or mp3 player, and reflective details for nighttime runs. 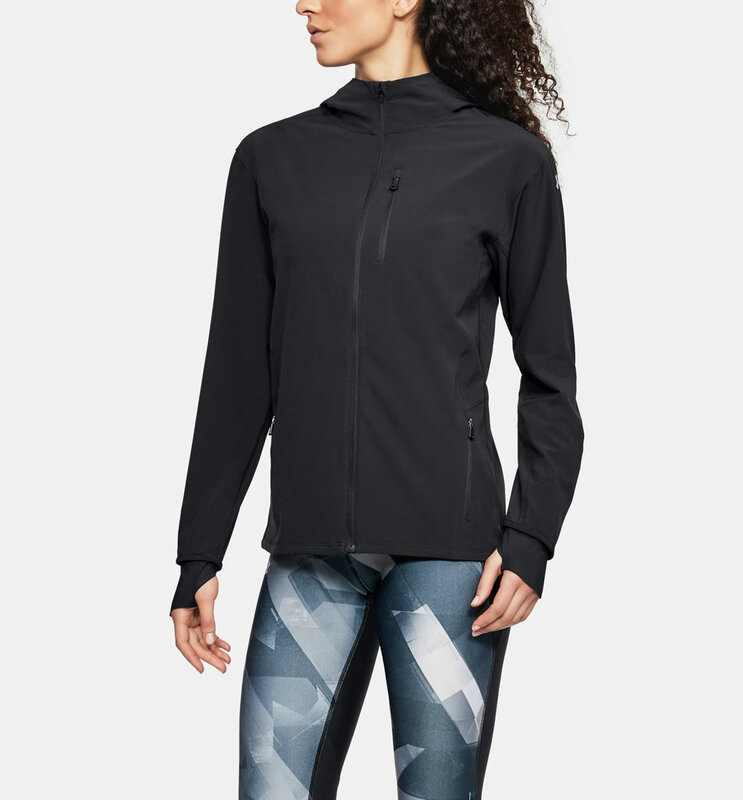 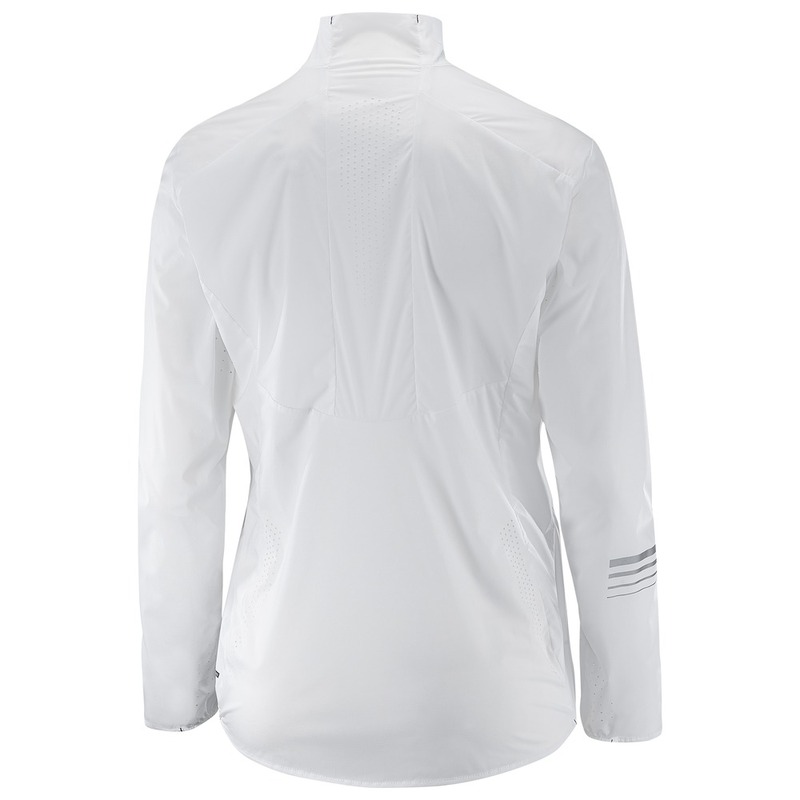 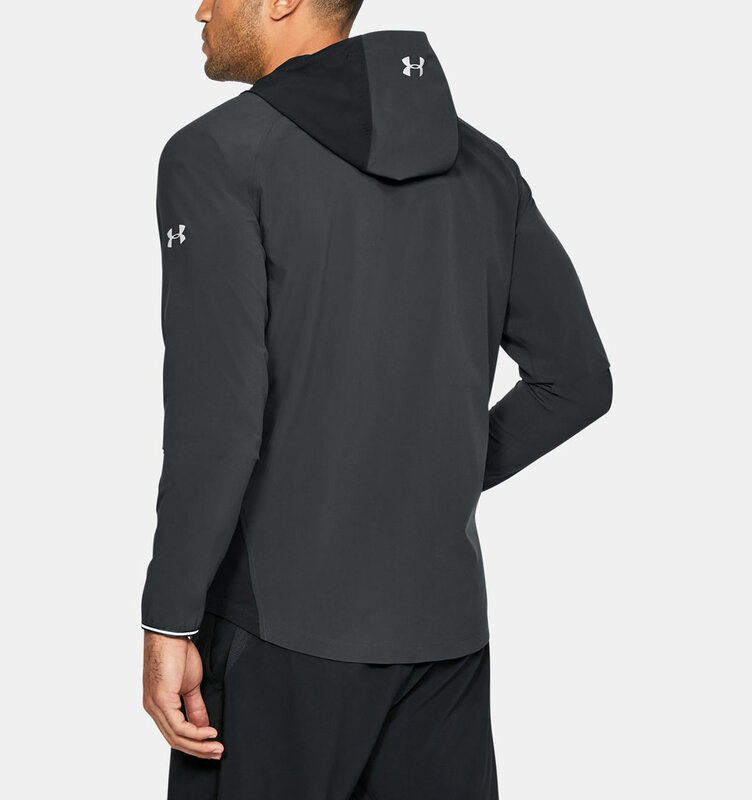 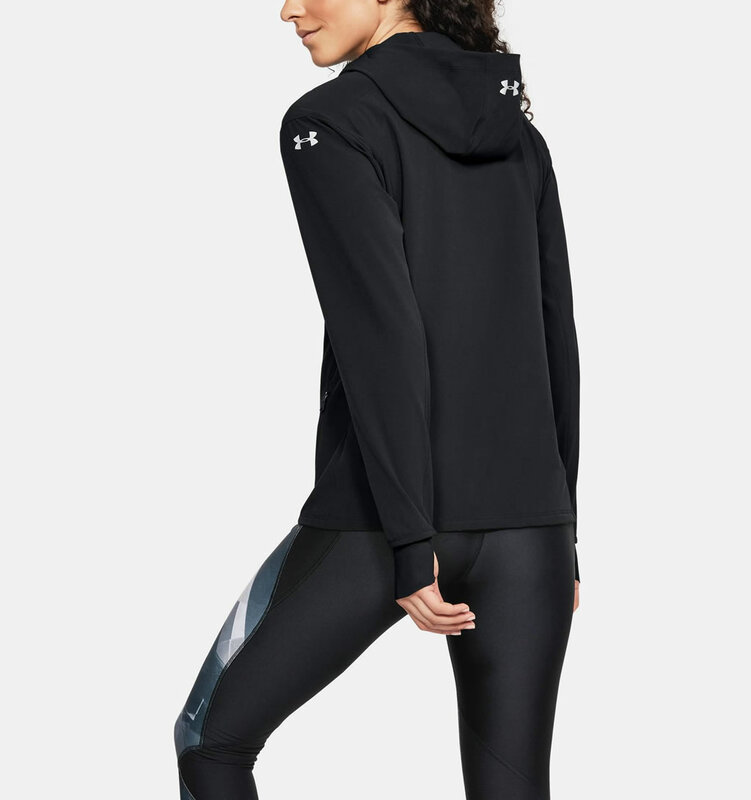 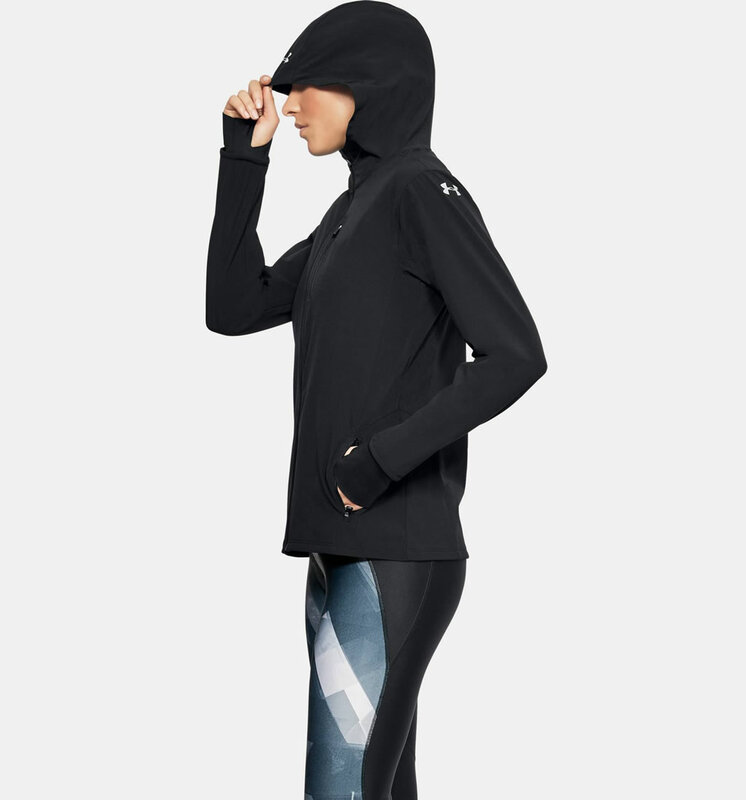 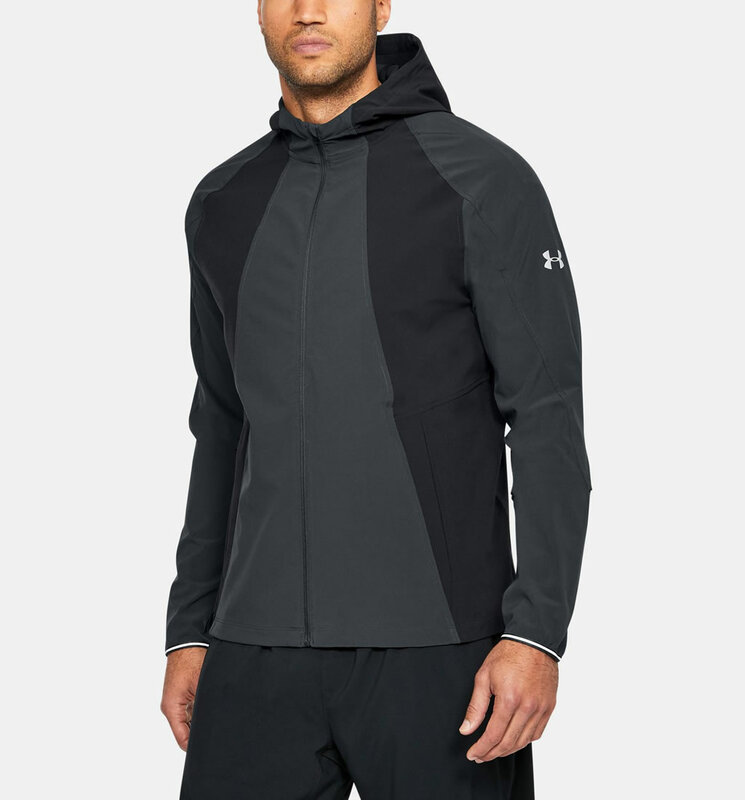 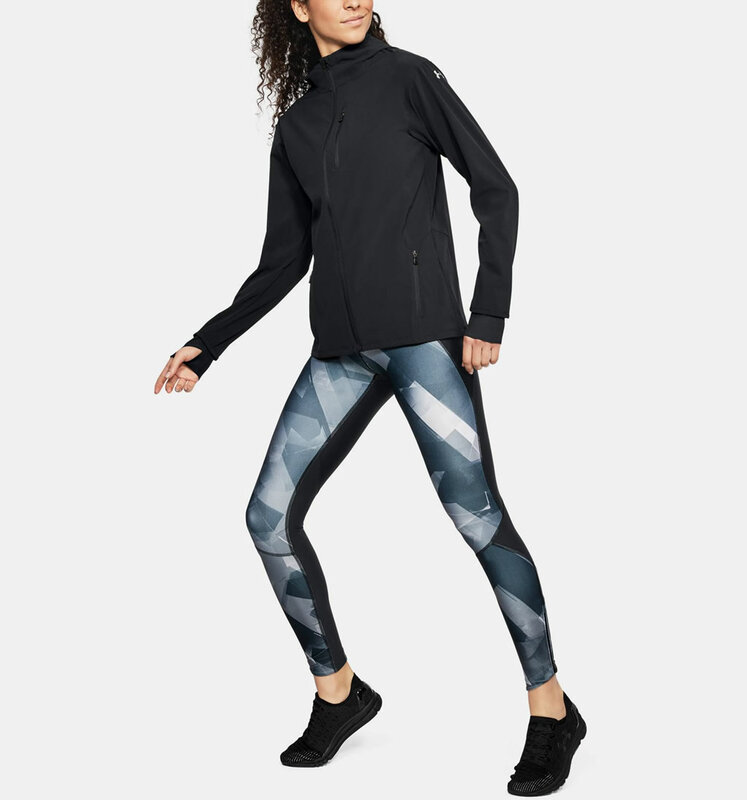 Under Armour has an amazing winter running jacket with reflective details on offer, which is dubbed the UA OutRun The Storm, and it features a lightweight, stretchy woven fabric, which ensures a next-to-skin feel. 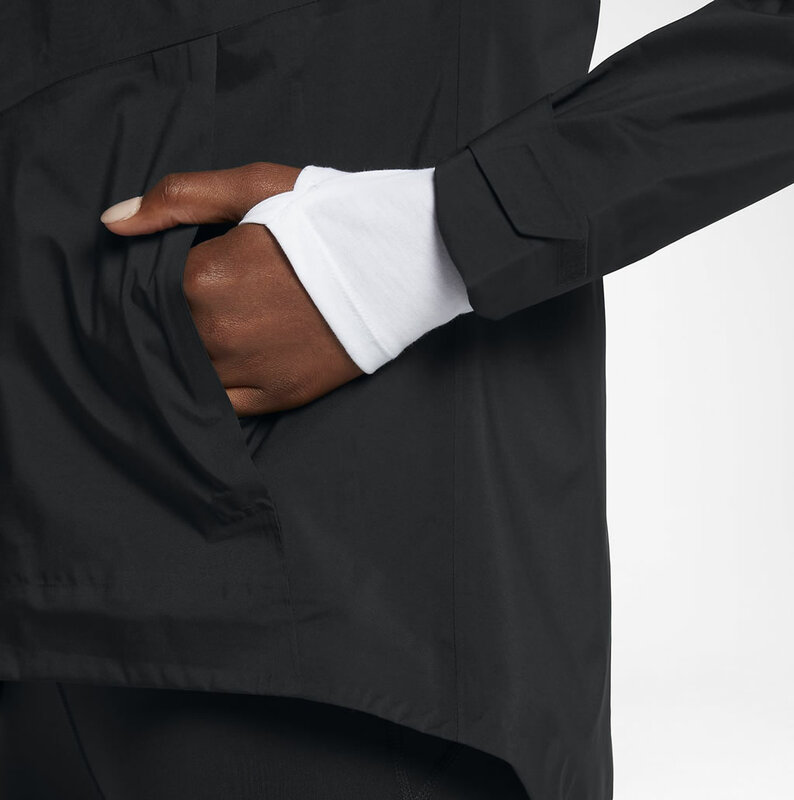 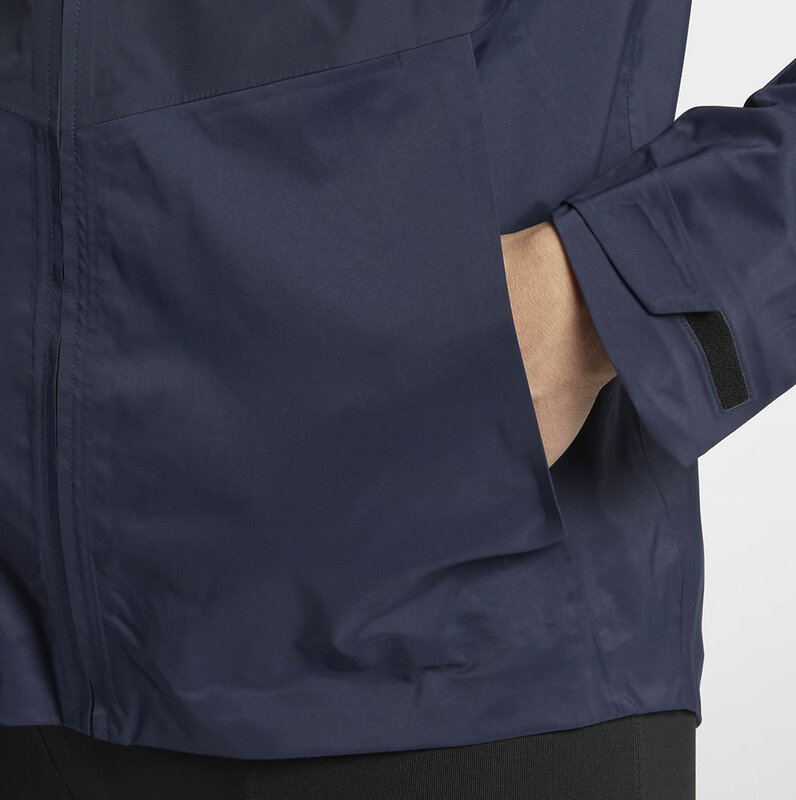 The durable, smooth spacer cuffs and the drop tail hem construction block the wind out of the jacket, while the wind-resistant construction keeps you warm and safe from the cold weather. 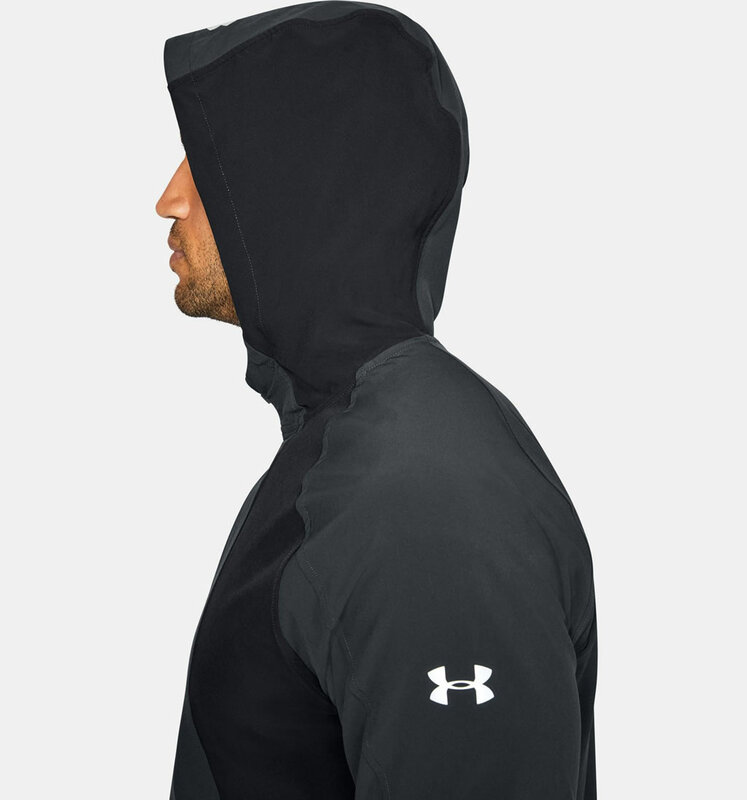 It’s worth noting the zippered hand pockets and UA Storm technology, which maximizes the jacket’s ability to keep the water out. Boasting a scuba hood and hidden thumbholes, this lightweight, windproof running jacket from New Balance was created using an outstanding fabric that’s able to block wind and wick sweat away from the body. 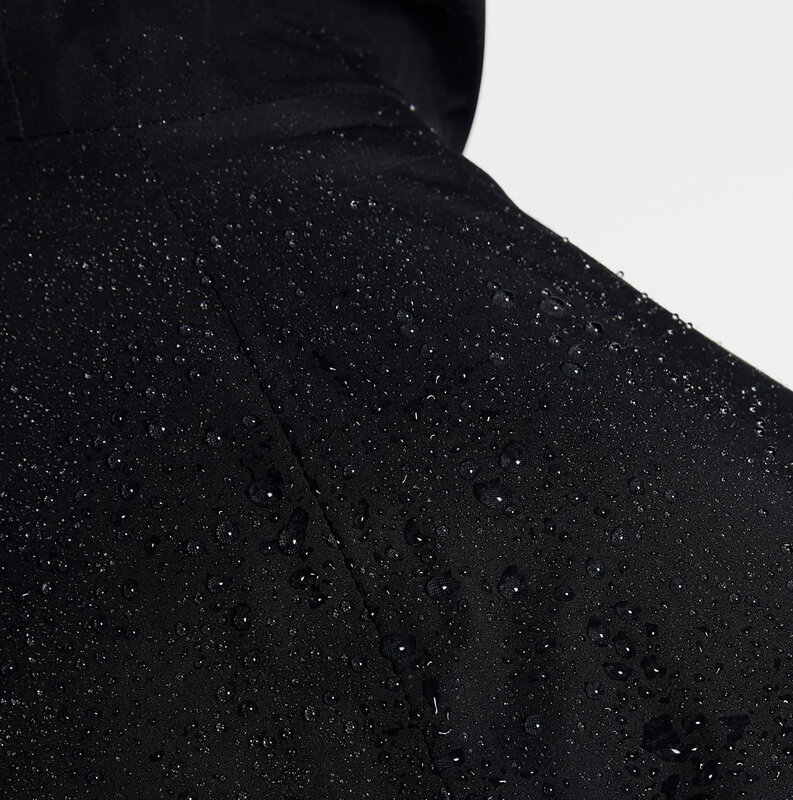 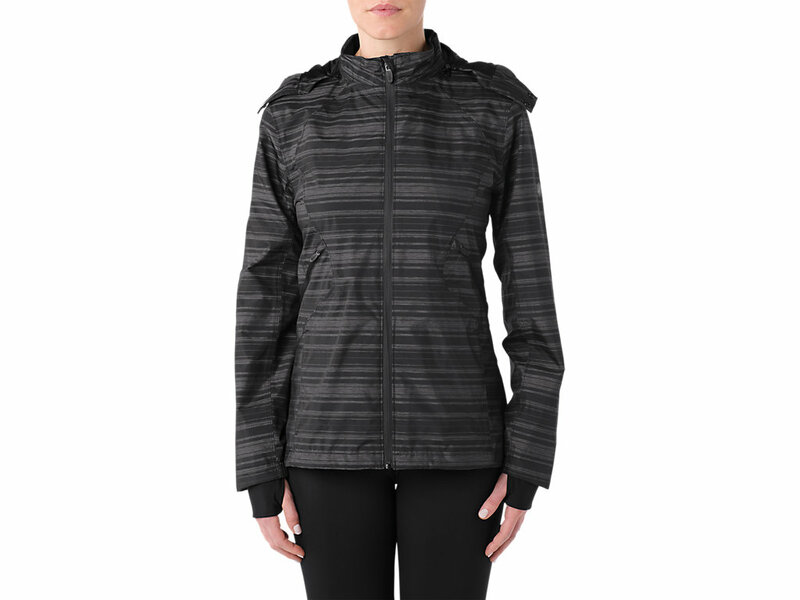 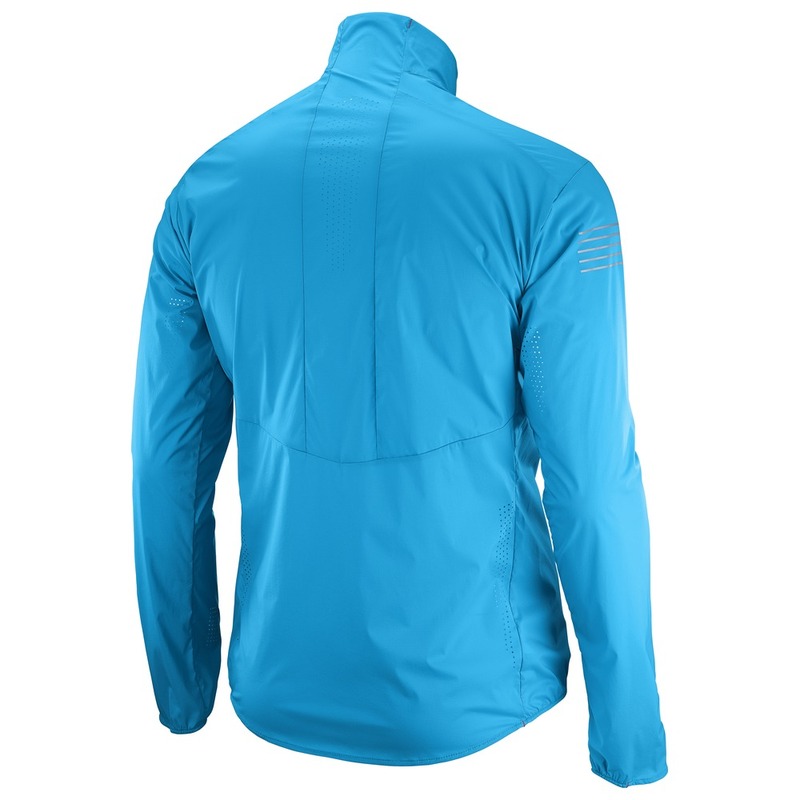 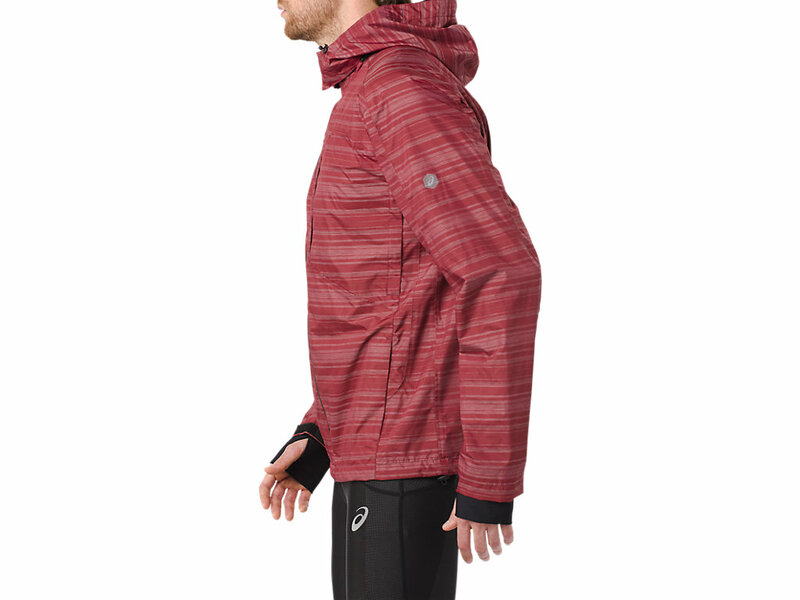 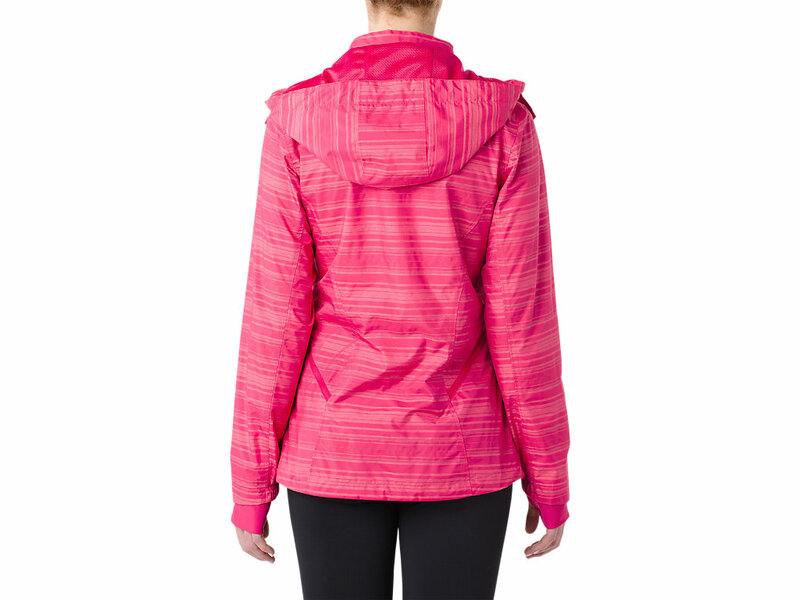 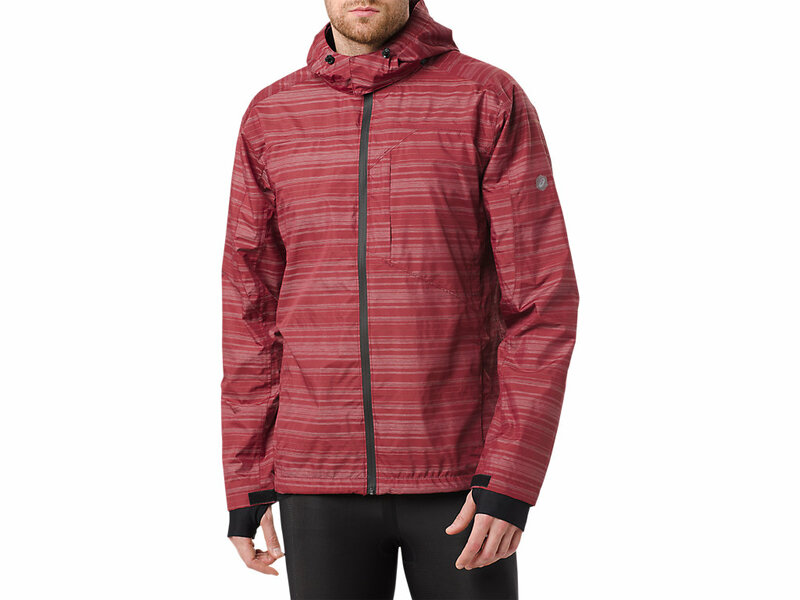 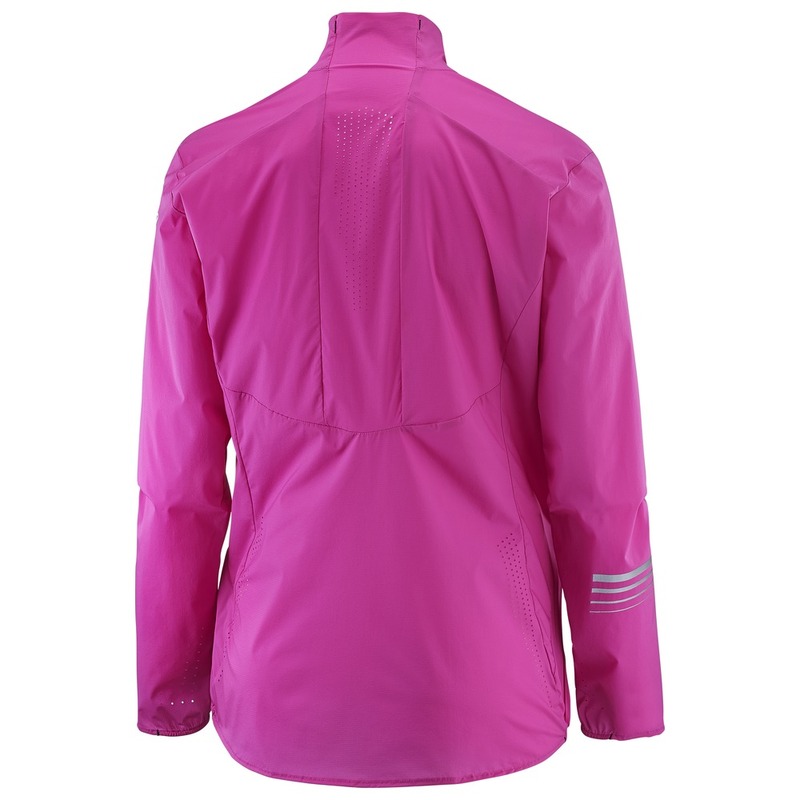 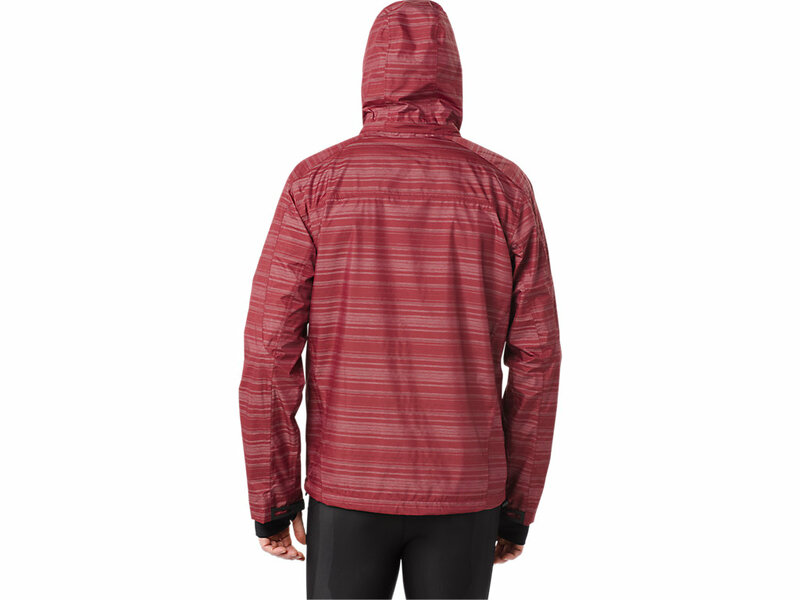 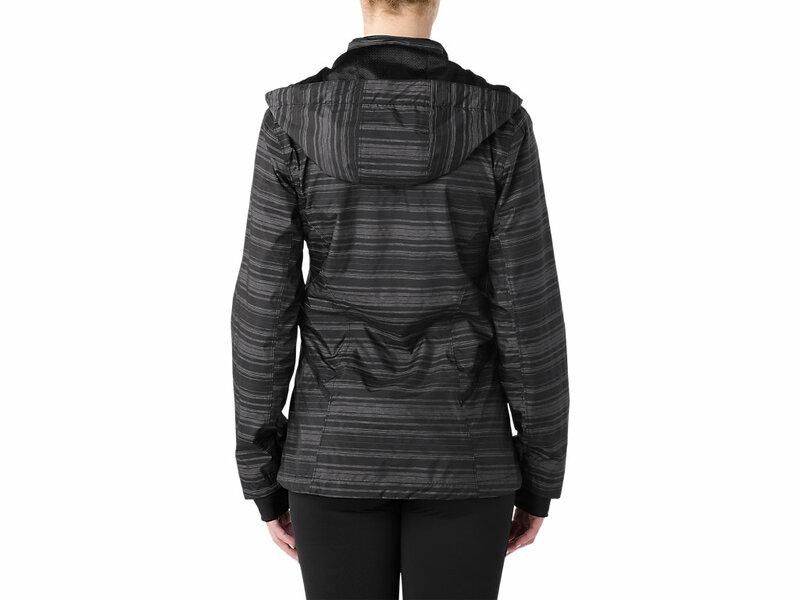 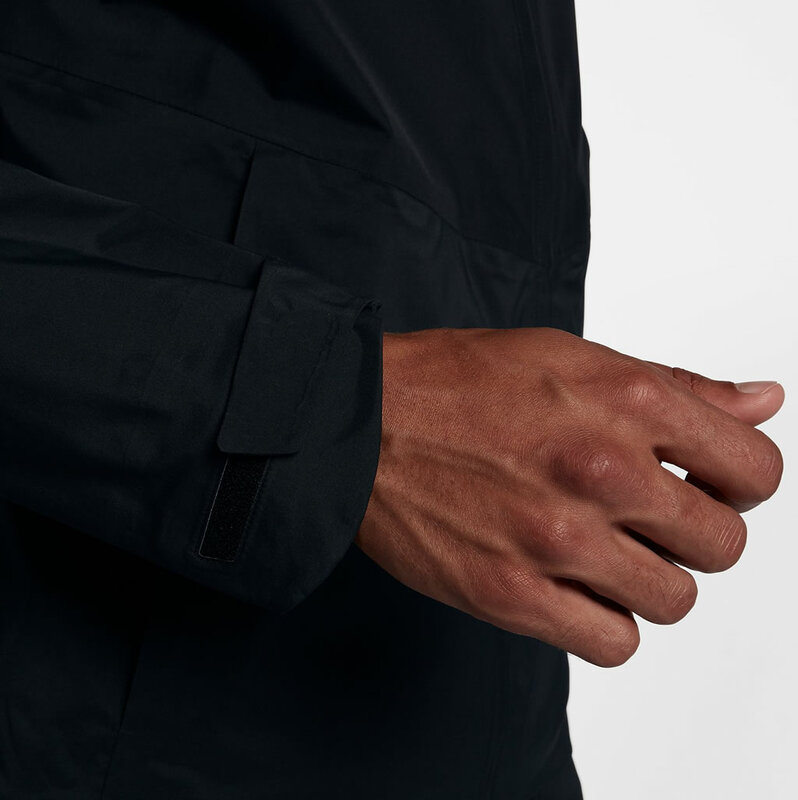 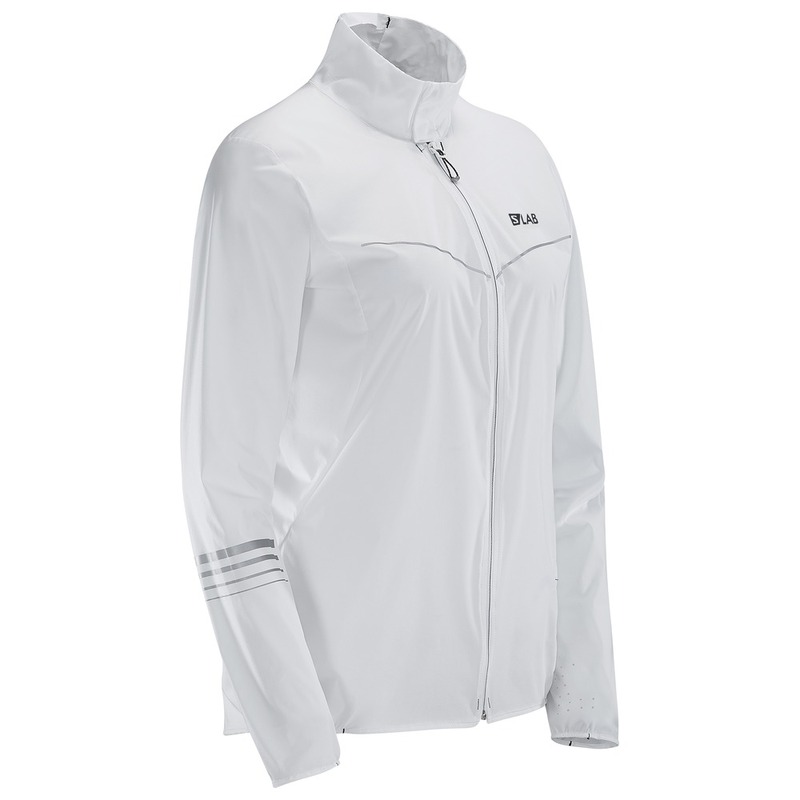 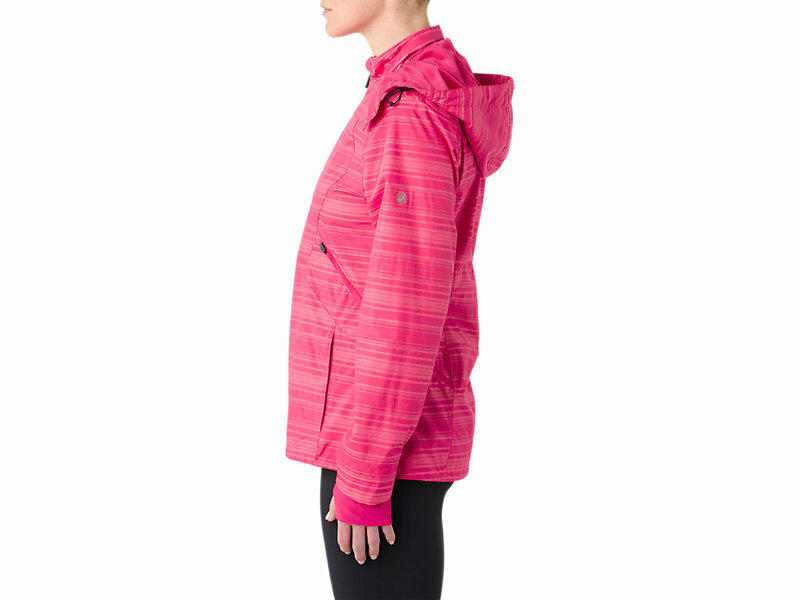 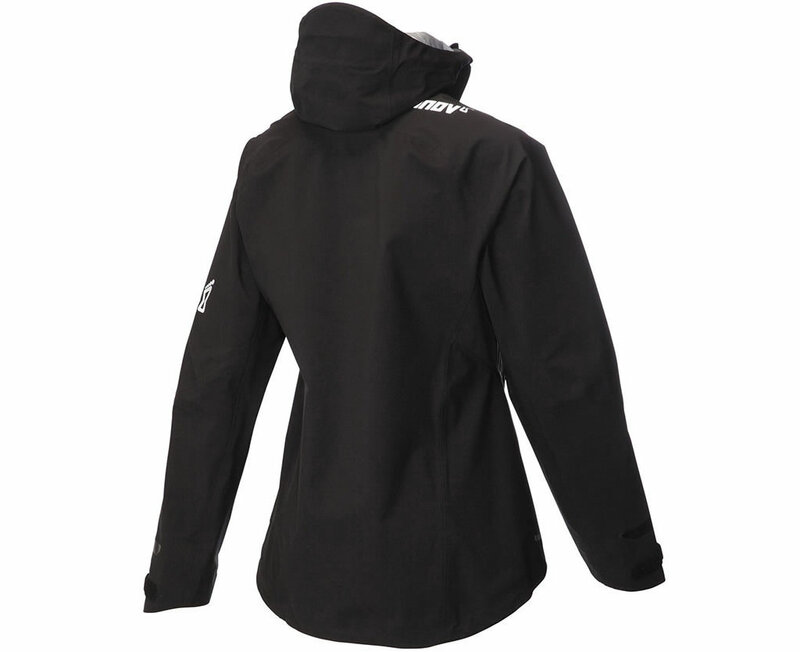 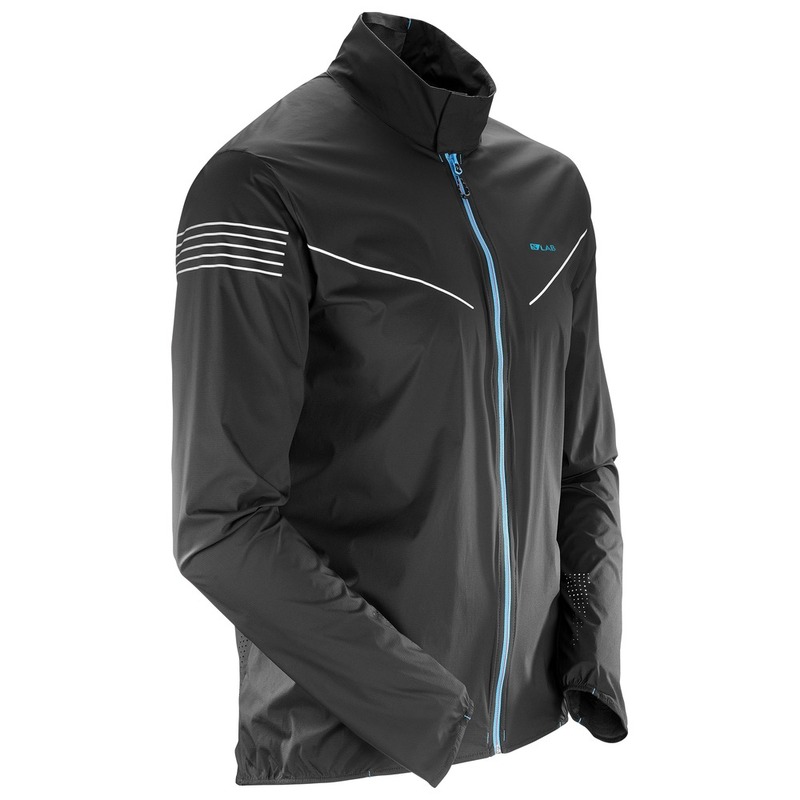 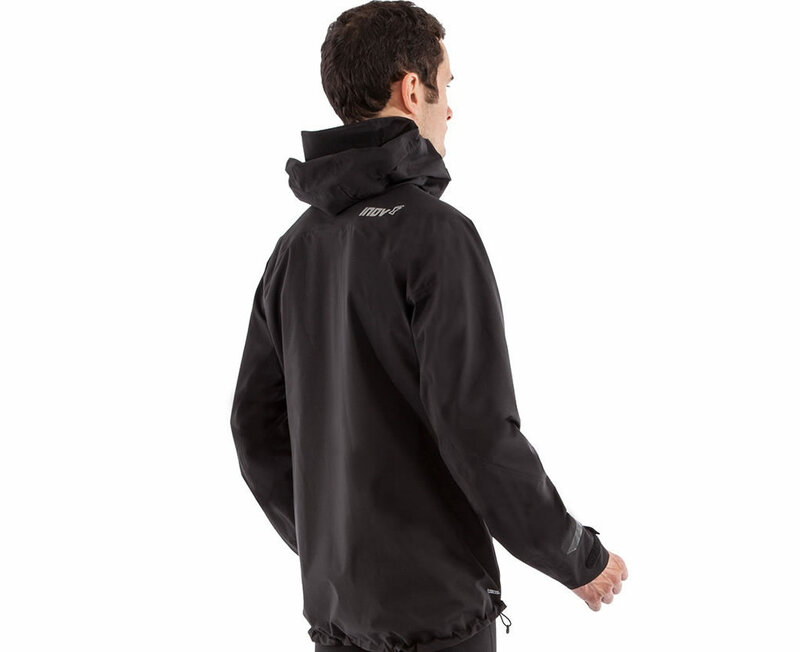 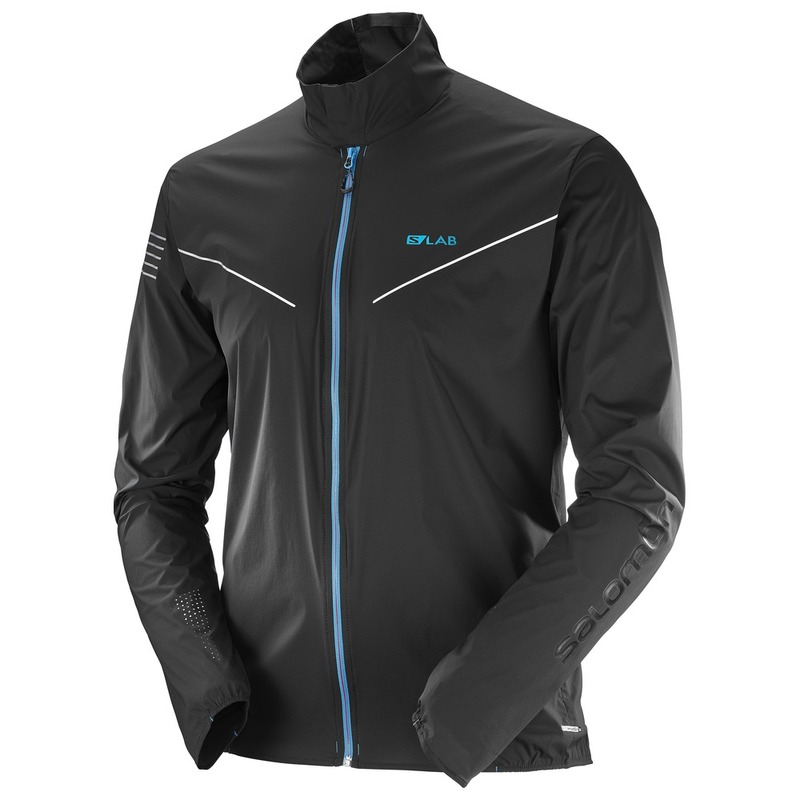 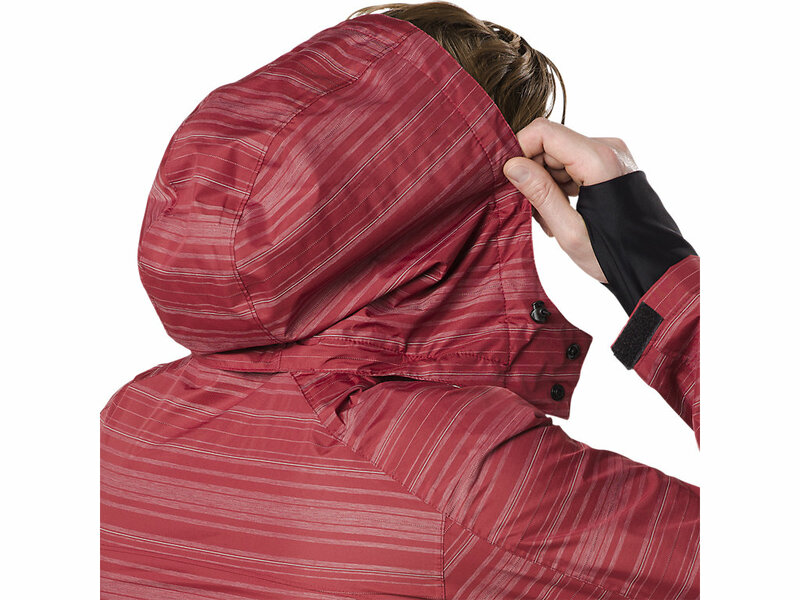 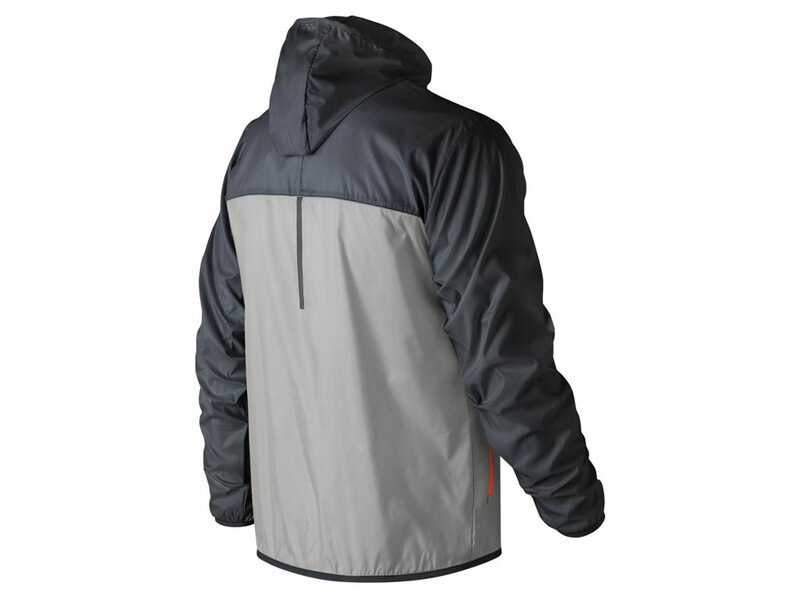 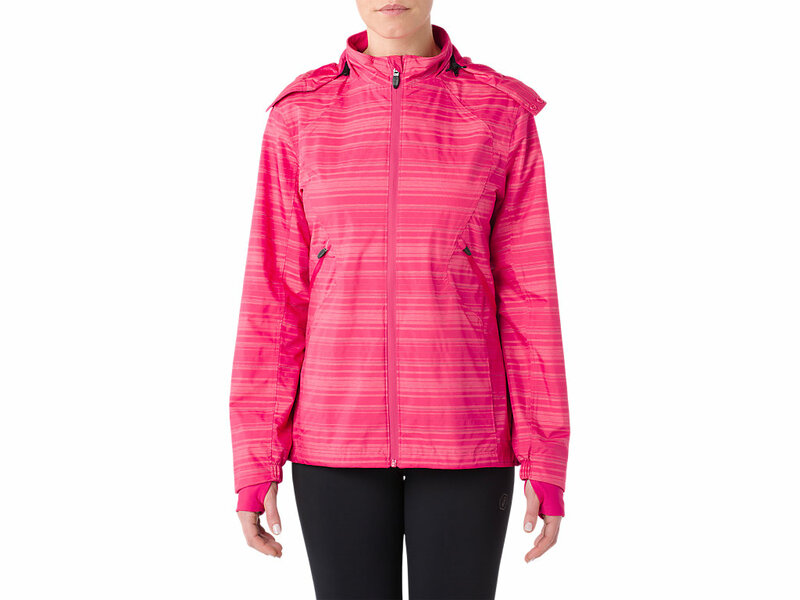 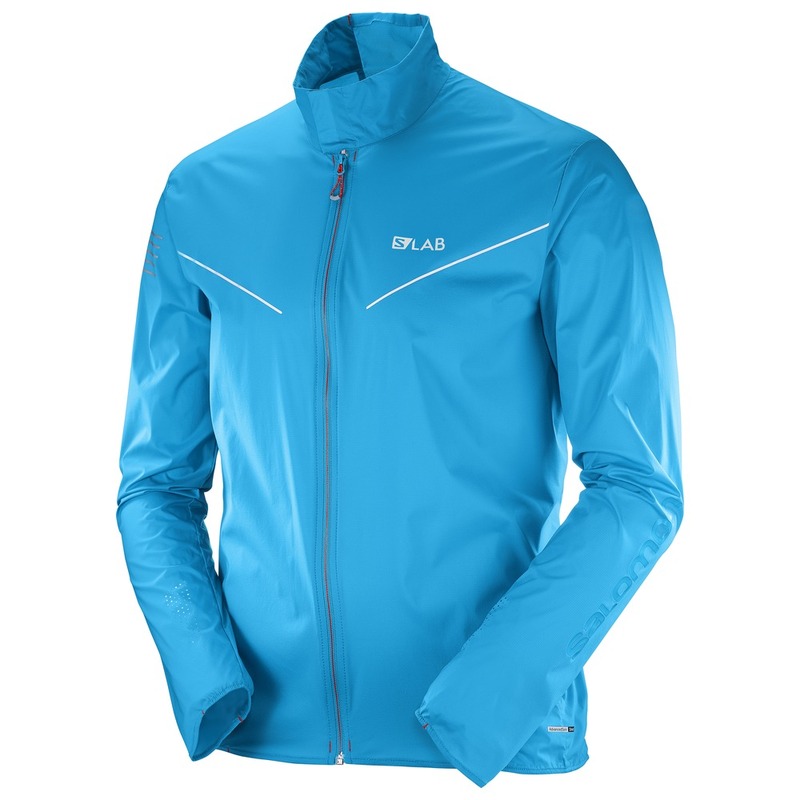 The jacket also offers a 360-degree reflectivity, and it is complemented by two zippered hand pockets. 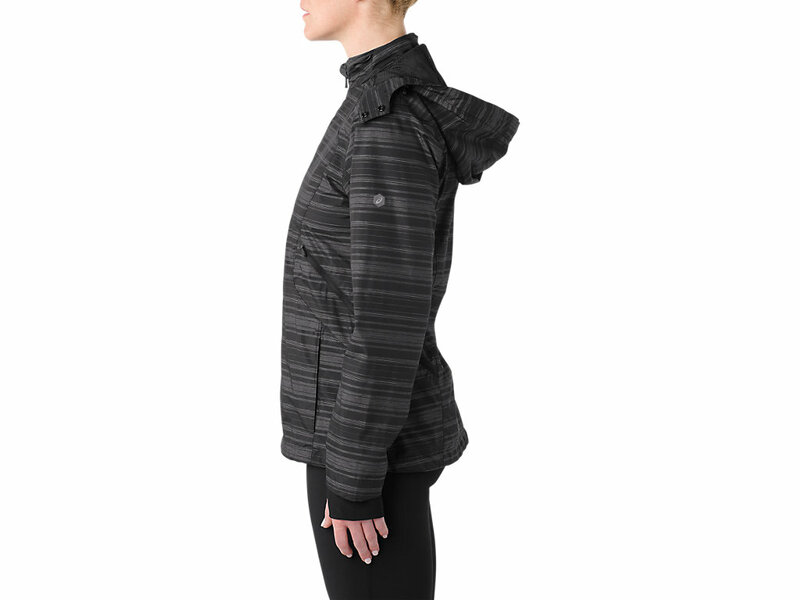 Available colorways include Arctic Fox, Team Royal Heather, Heather Charcoal, Military Dark Triumph Heather, and Black.